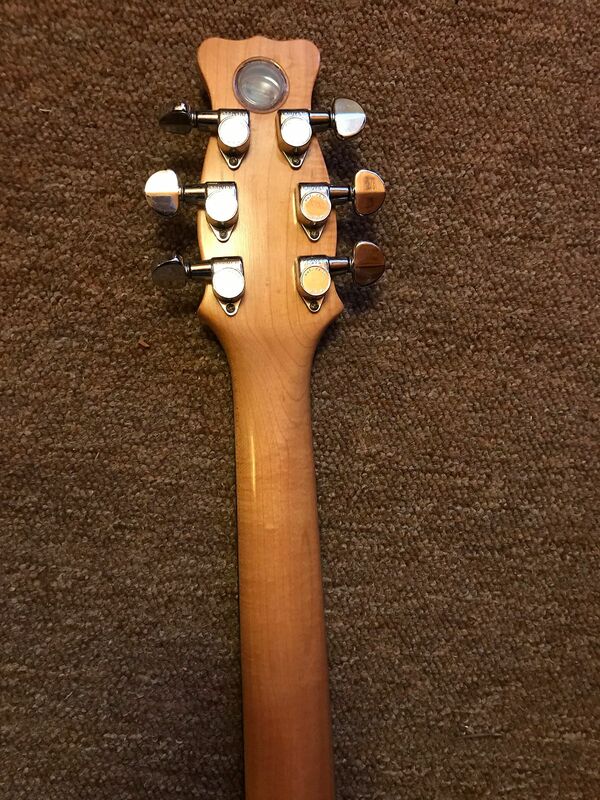 Early bodies were of Honduras mahogany, later sycamore or obeche. 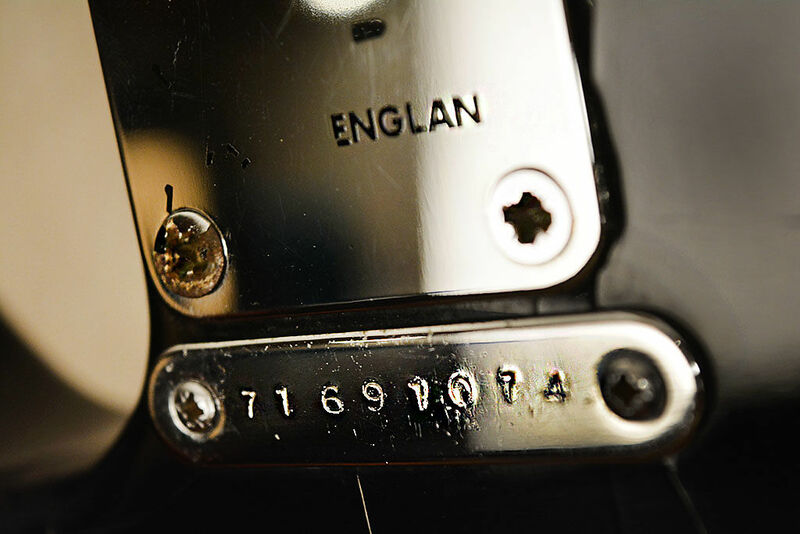 5707 - 1010 (SuperFlux) (not in ledger, which ends June 73, presumed July 73? 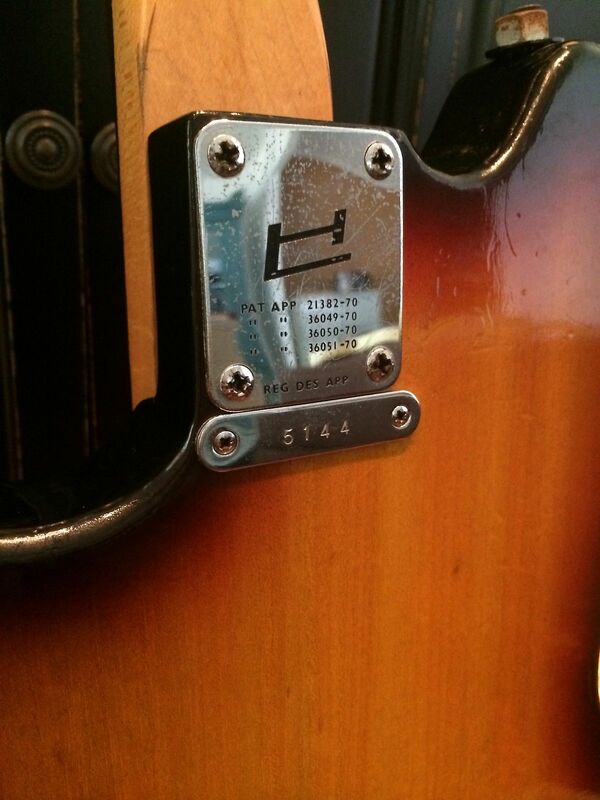 5738 - 1010 (SuperFlux) (not in ledger, which ends June 73, presumed July 73? 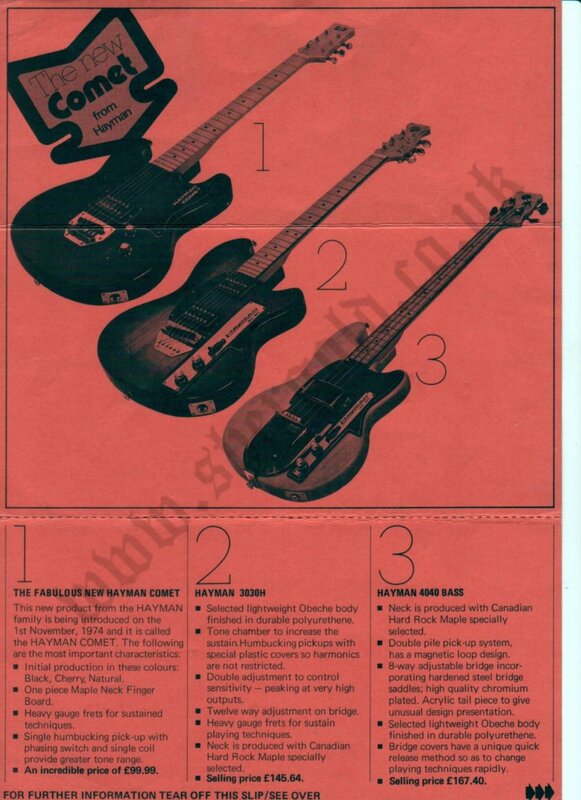 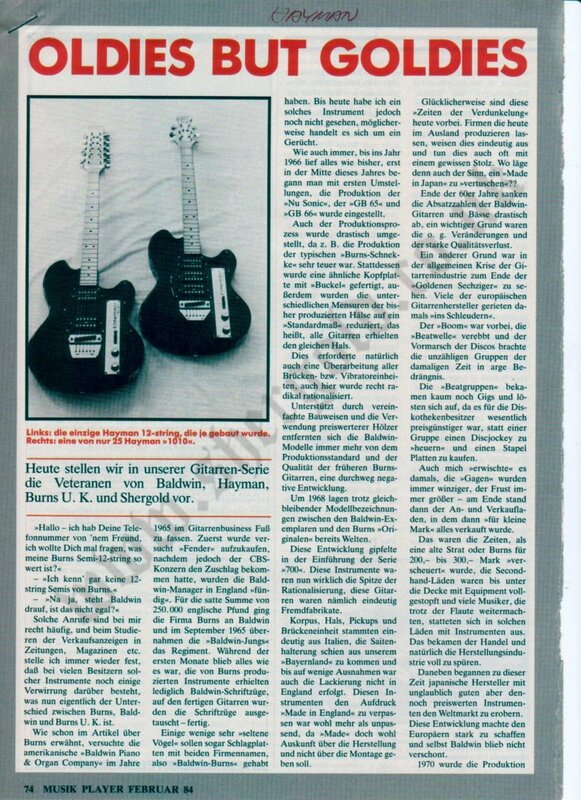 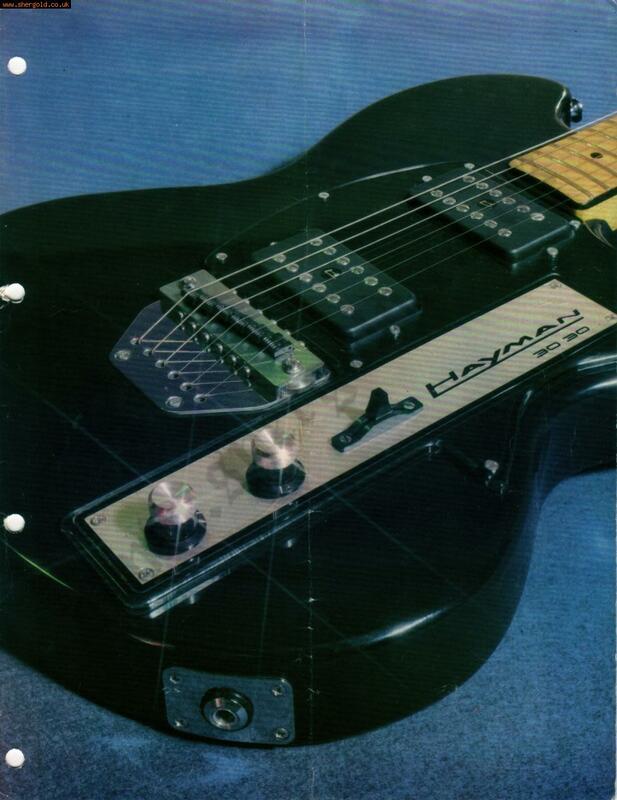 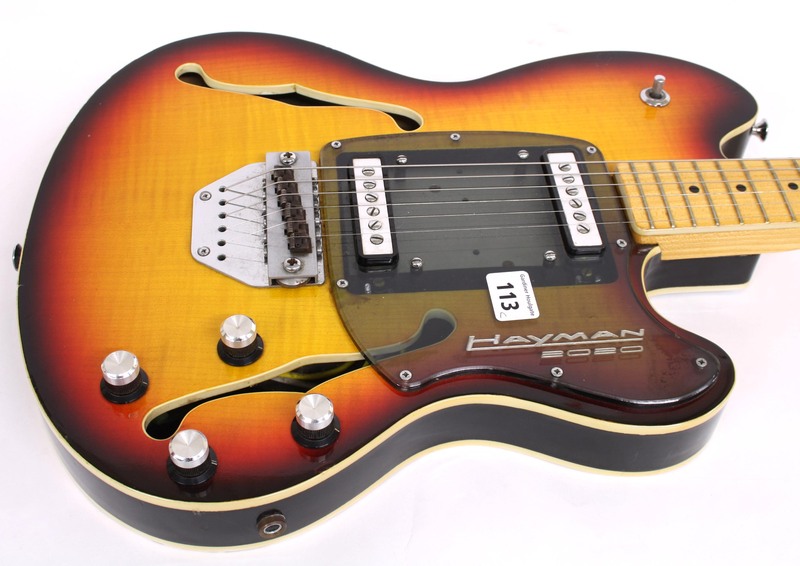 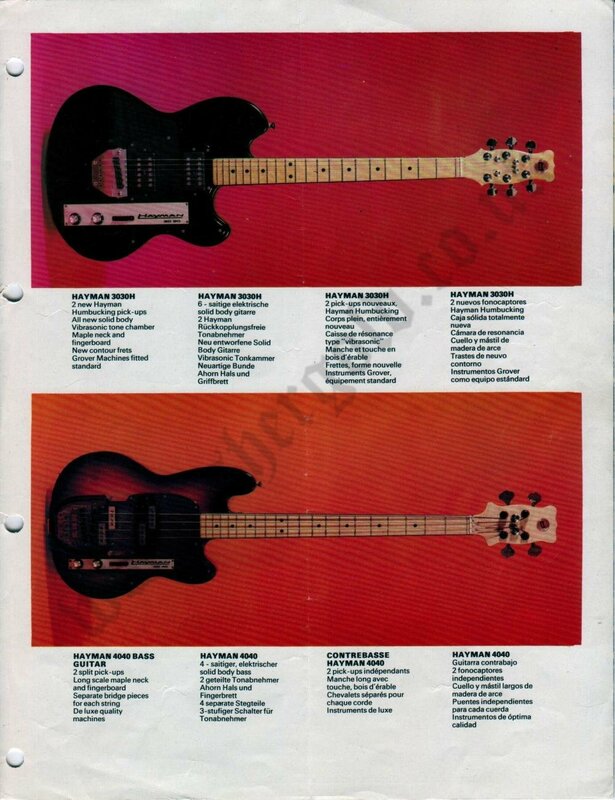 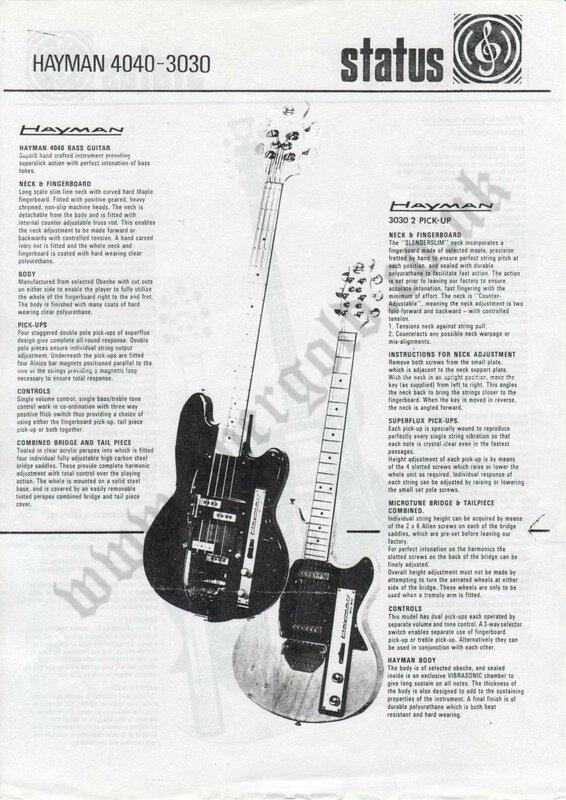 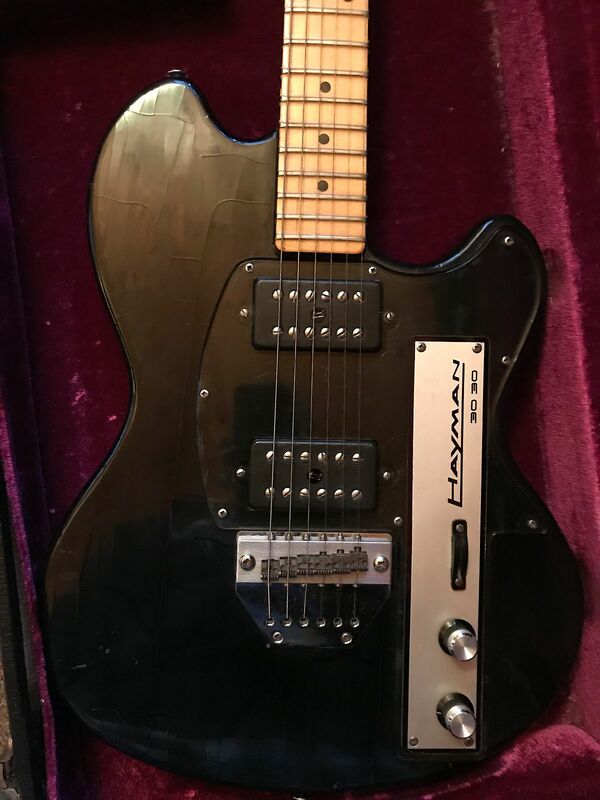 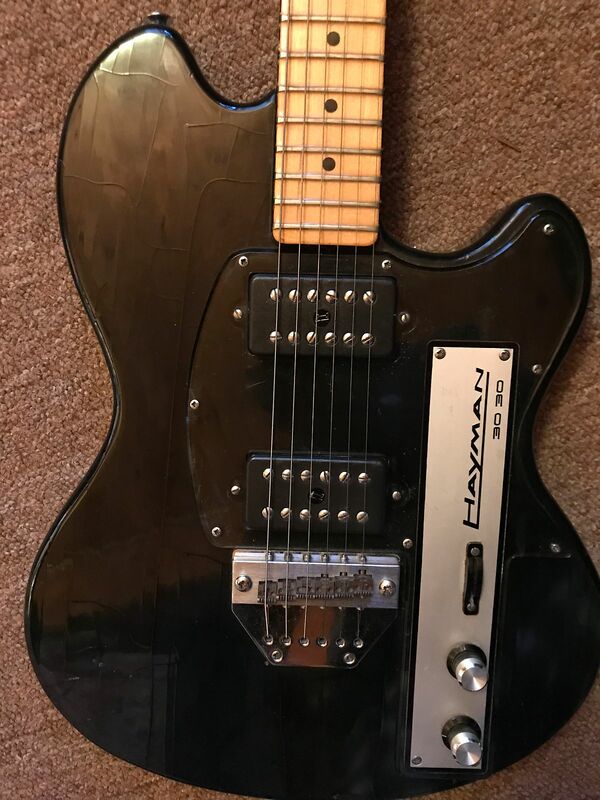 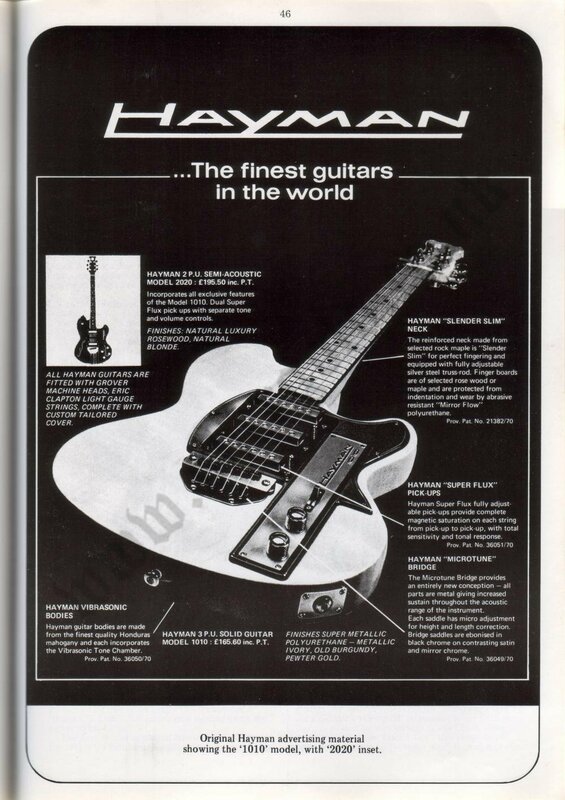 In 1969 Jim Burns joined ex-Vox employee Bob Pearson to develop a new range of HAYMAN guitars for the Dallas Arbiter organisation. 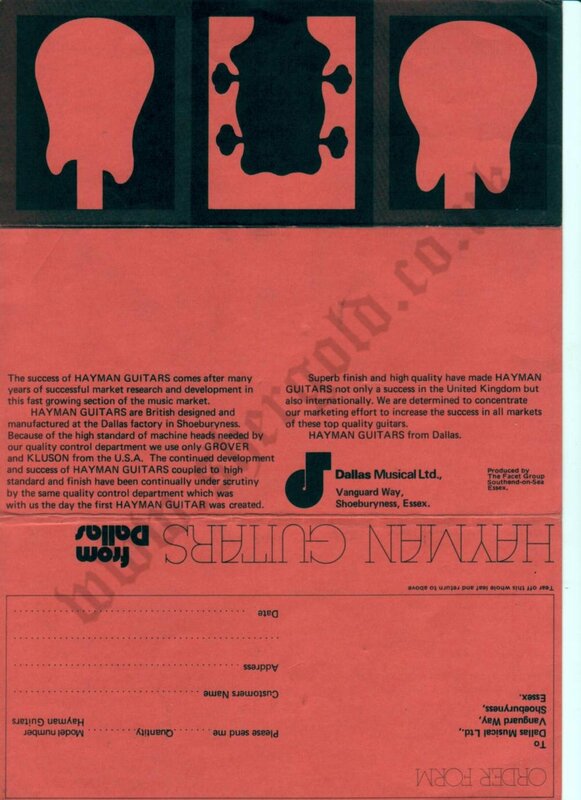 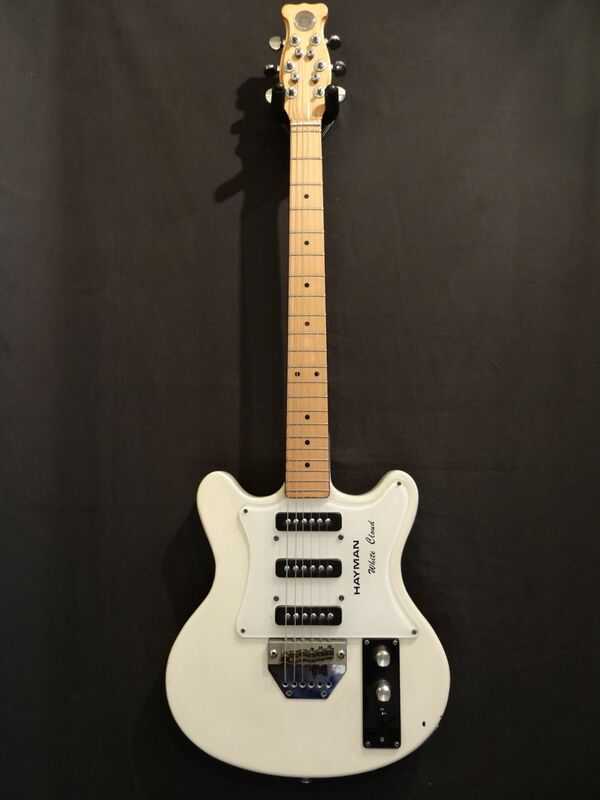 Jim had already formulated some ideas for a new design, as had Bob Pearson, who had also been working on a perspex-body guitar with Beatle, John Lennon. 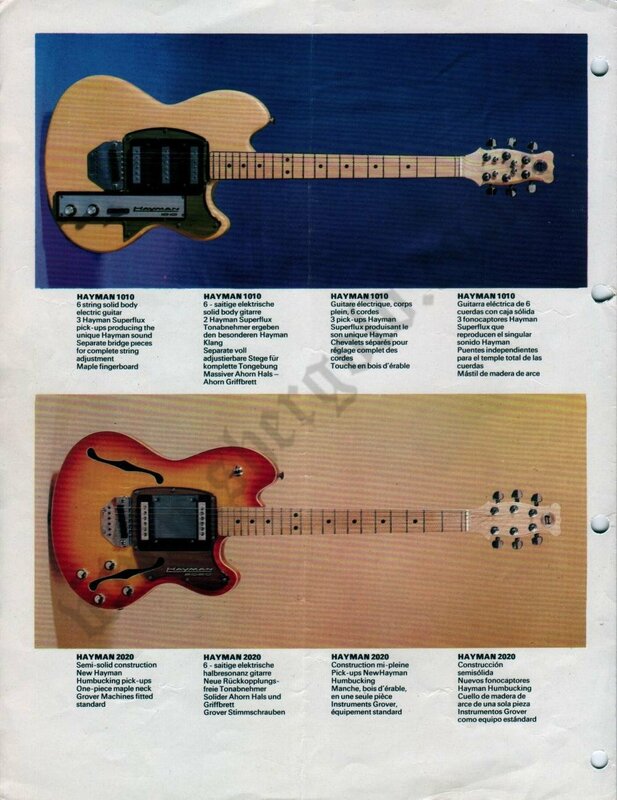 The resultant combination of Jim and Bob's ideas produced a range of instruments with several innovative features and distinctive appearance. 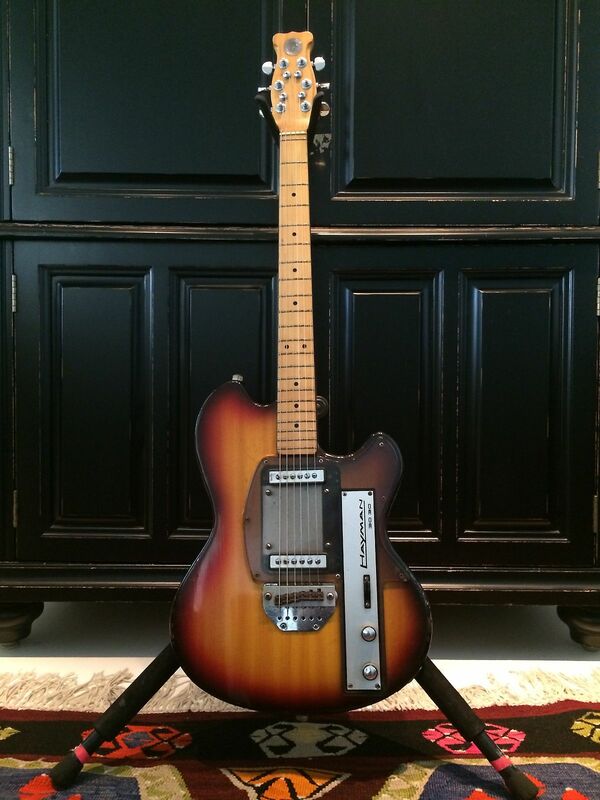 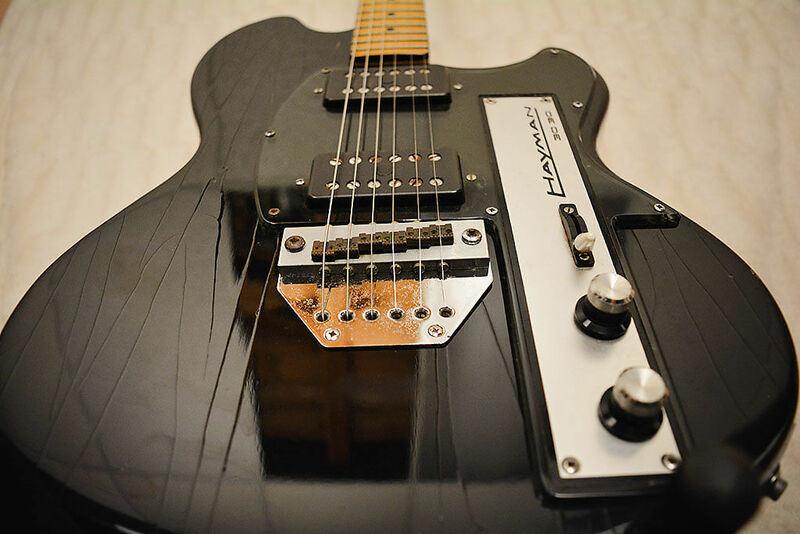 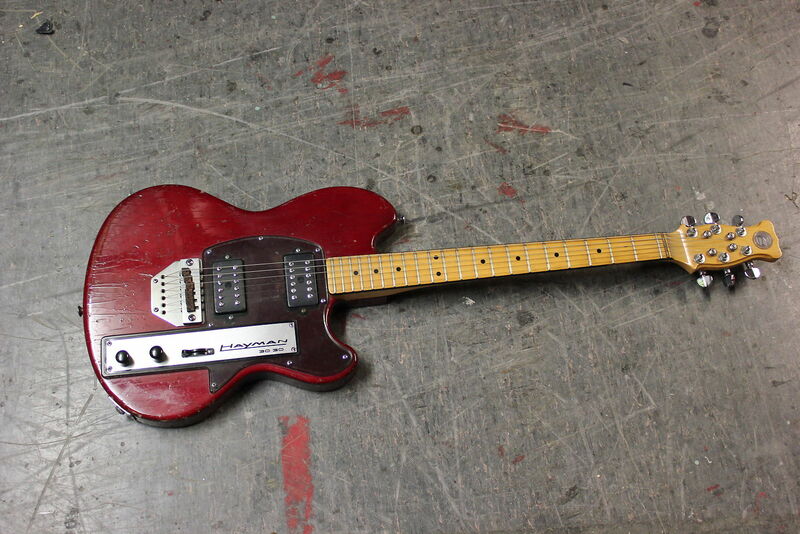 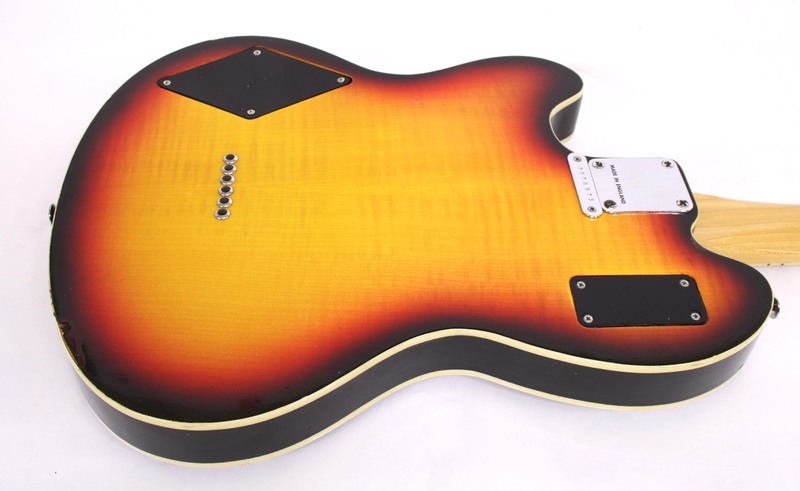 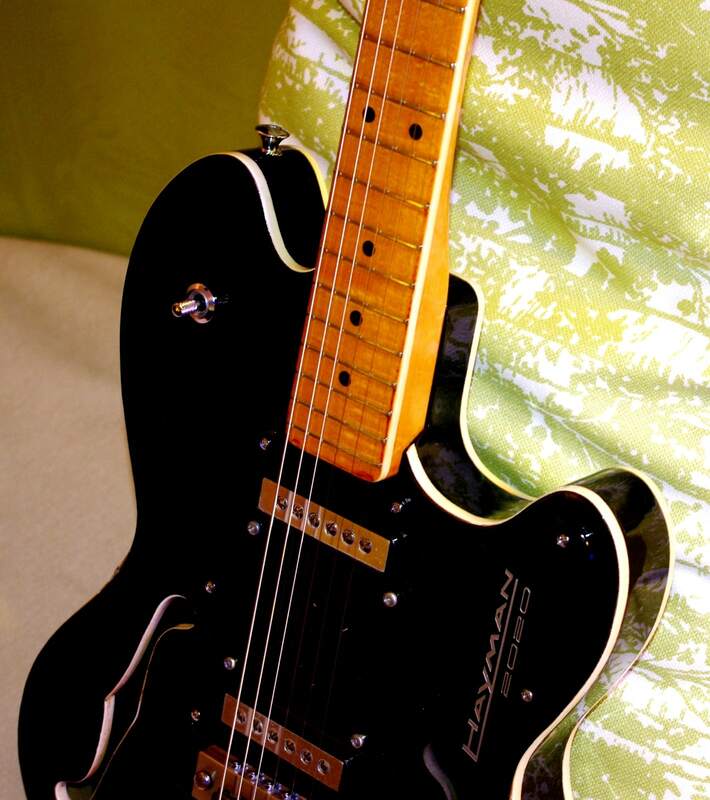 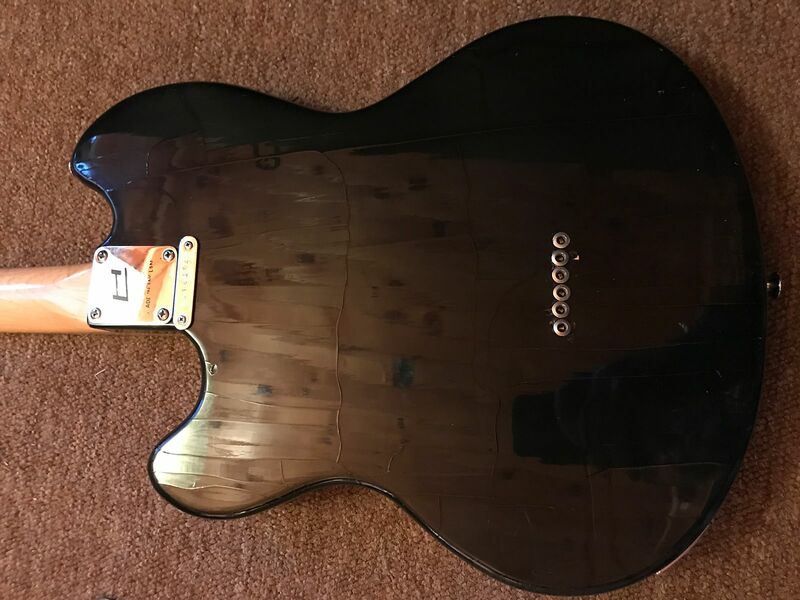 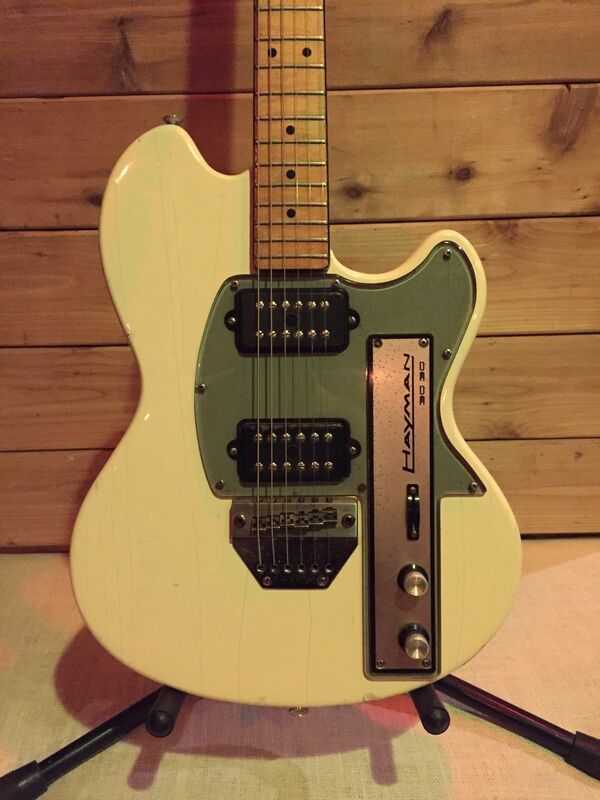 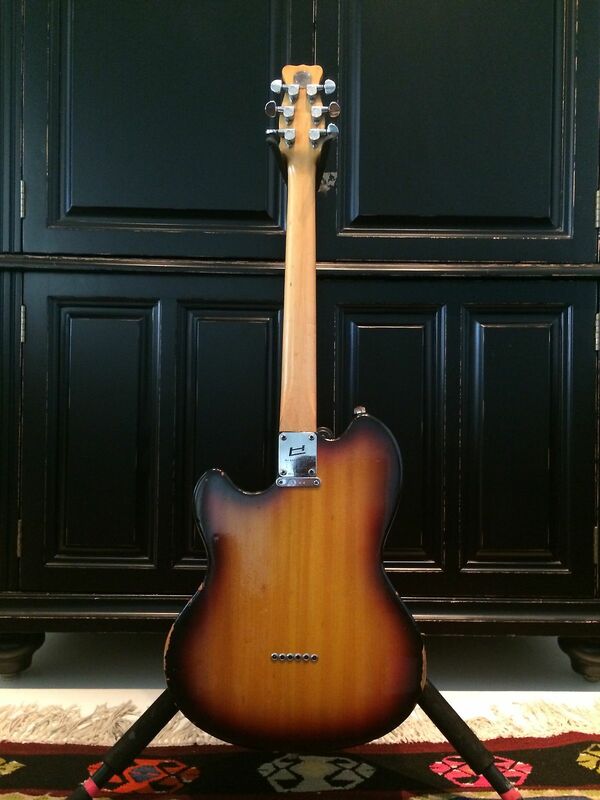 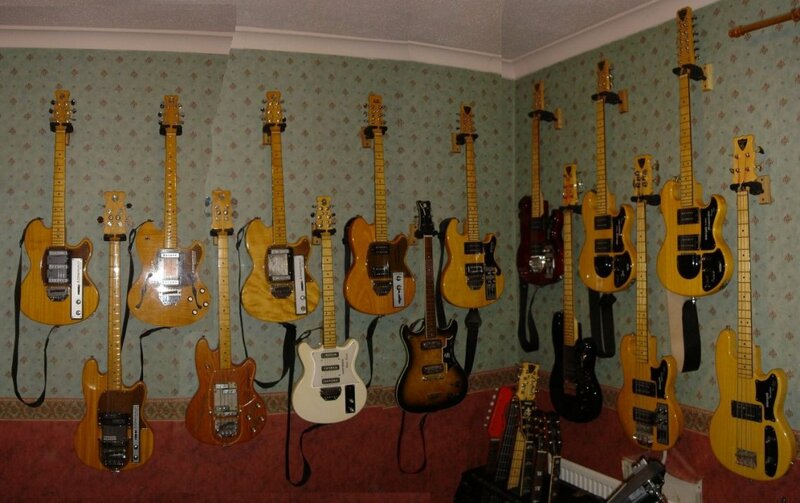 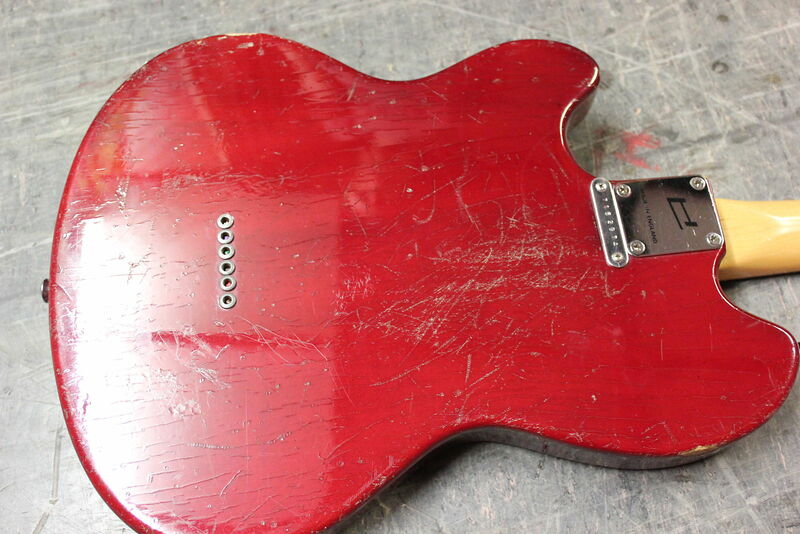 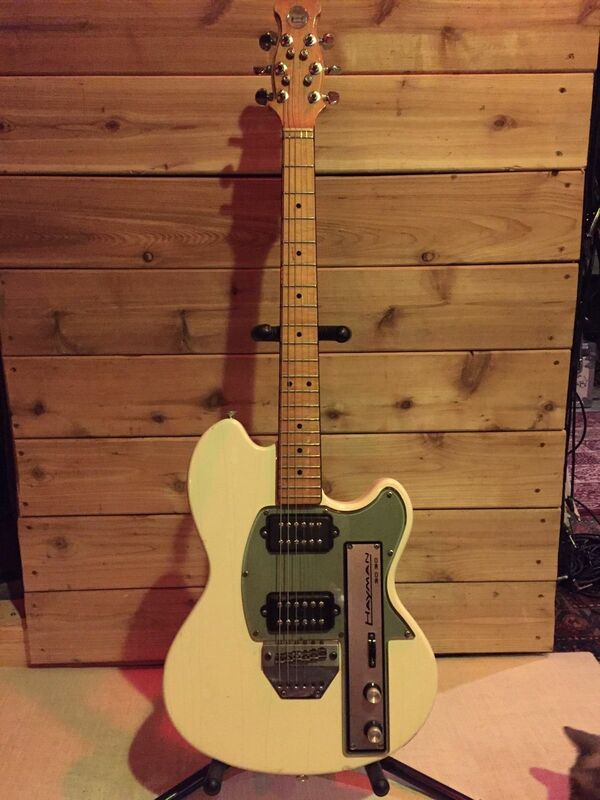 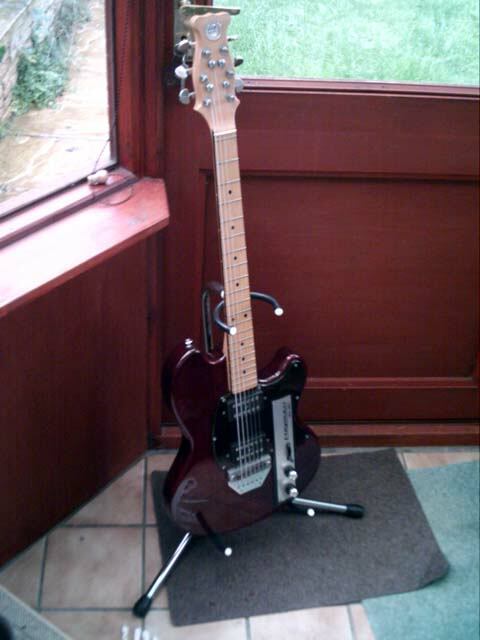 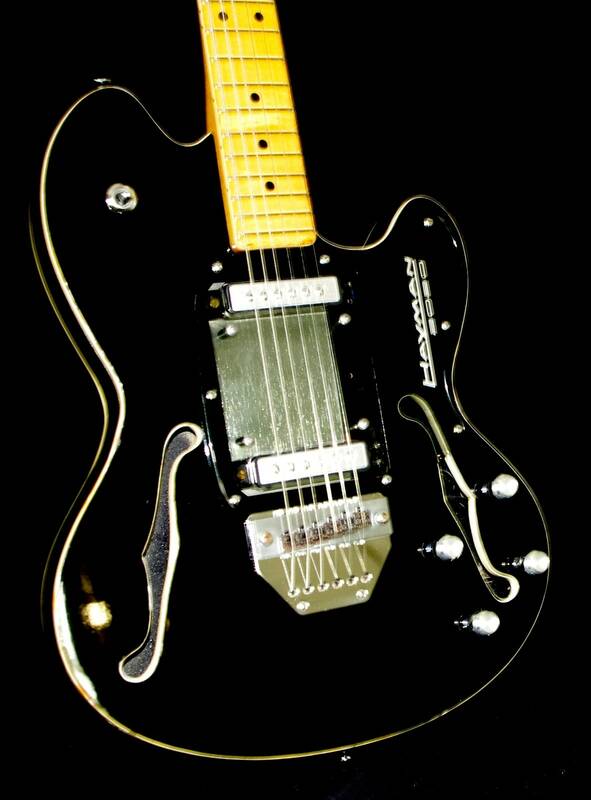 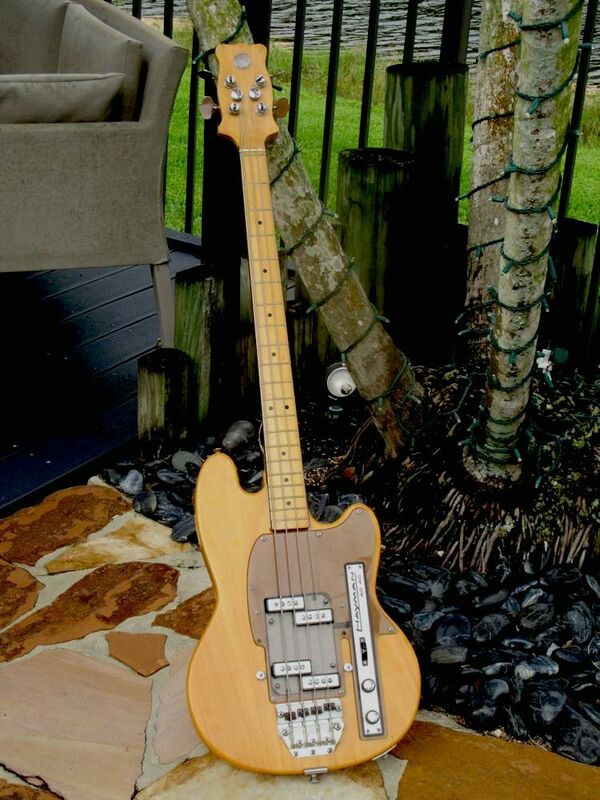 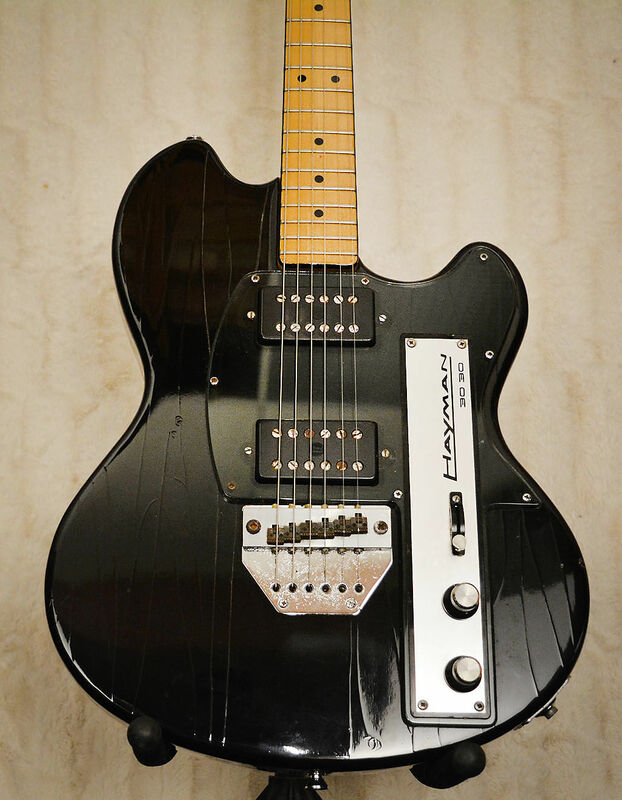 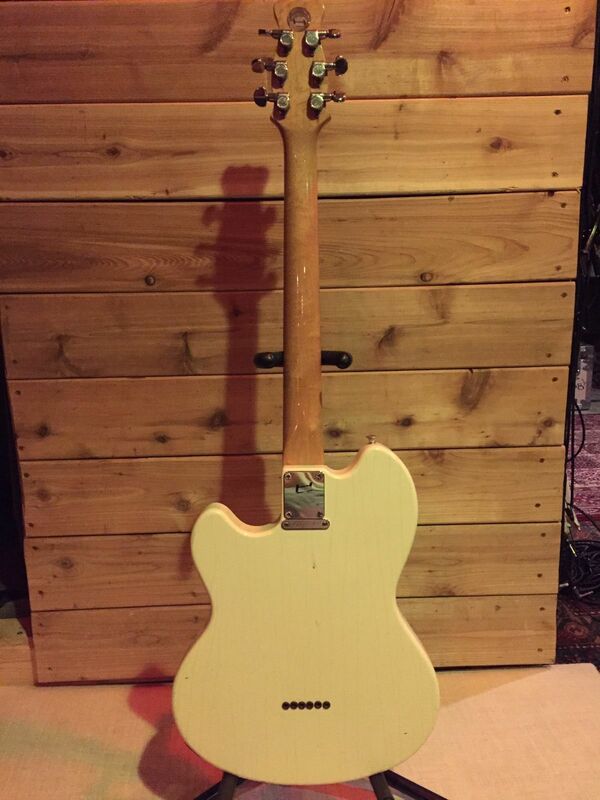 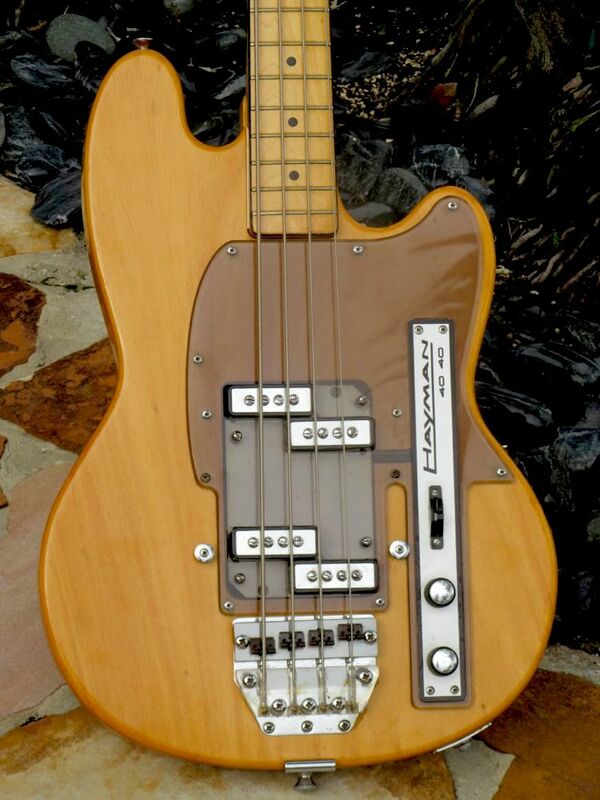 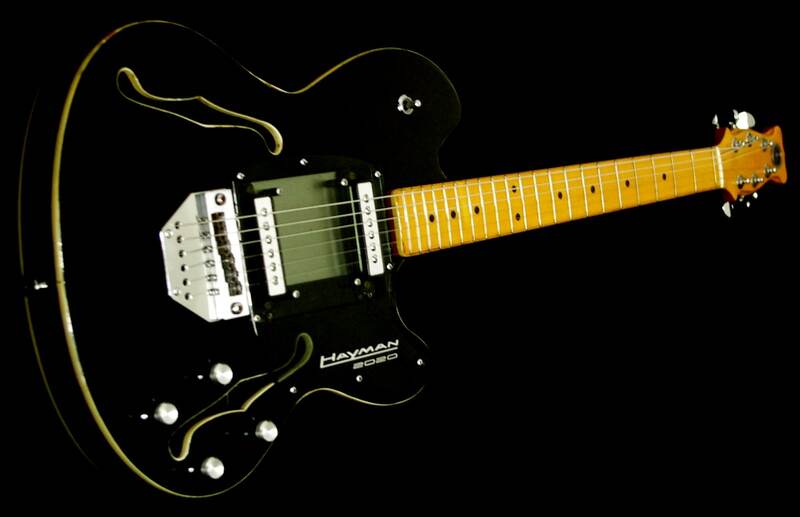 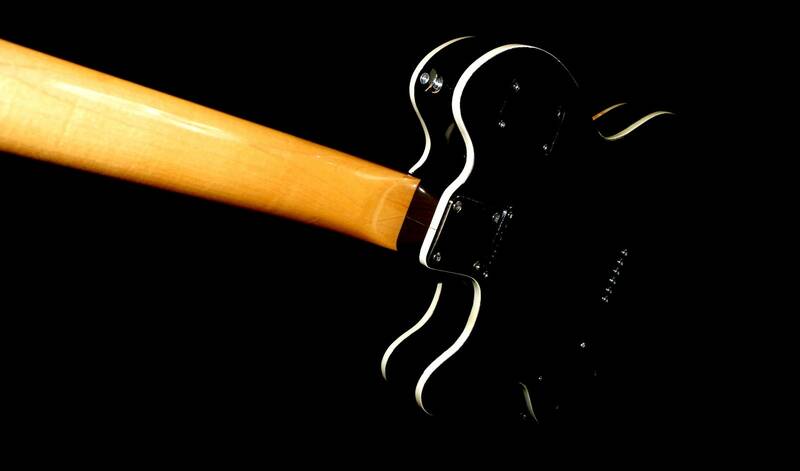 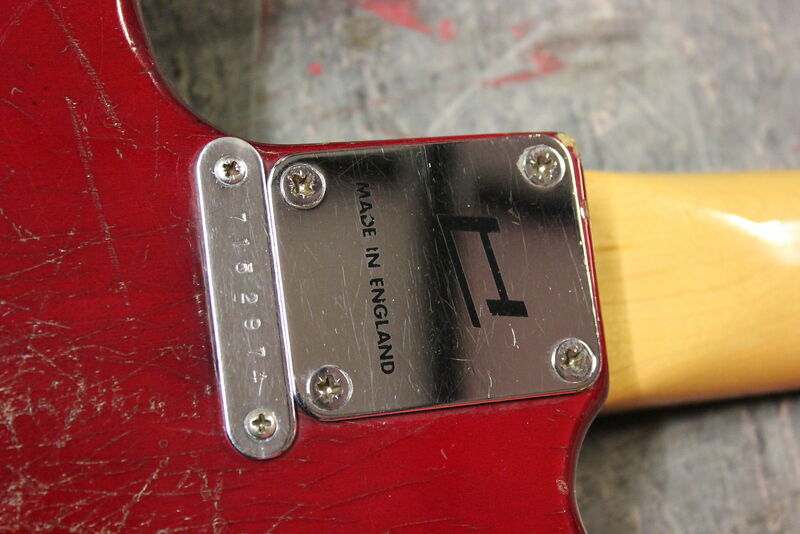 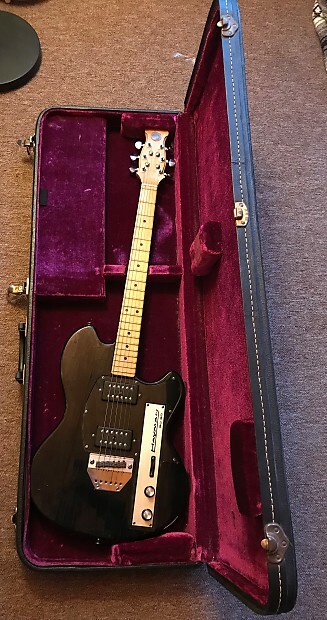 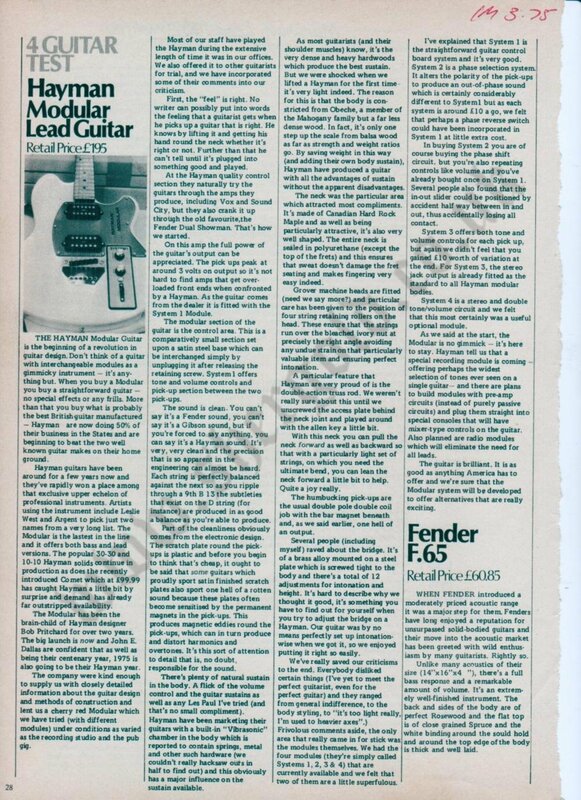 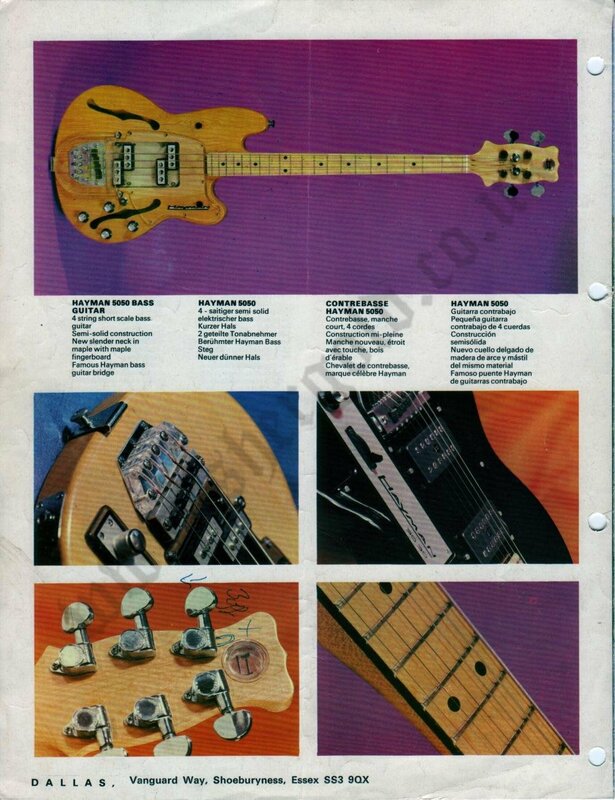 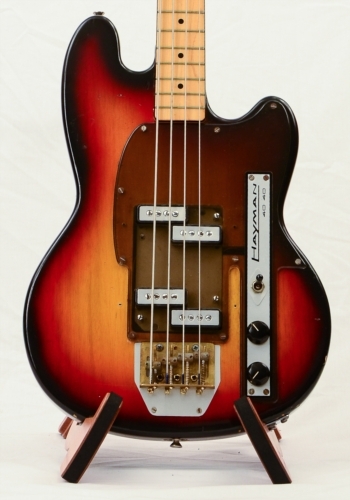 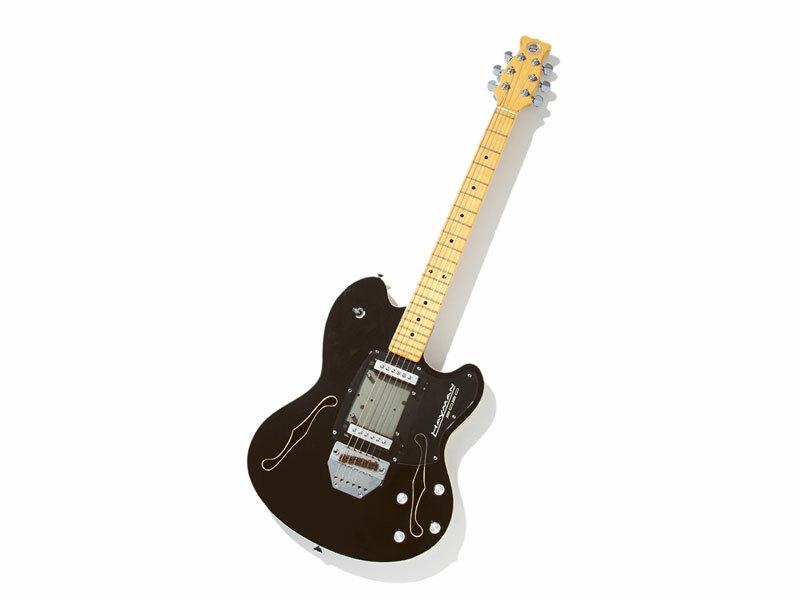 The guitar styling, suggestive of a Burns 'Vista Sonic' crossed with a Fender 'Telecaster', was still very 'British'. 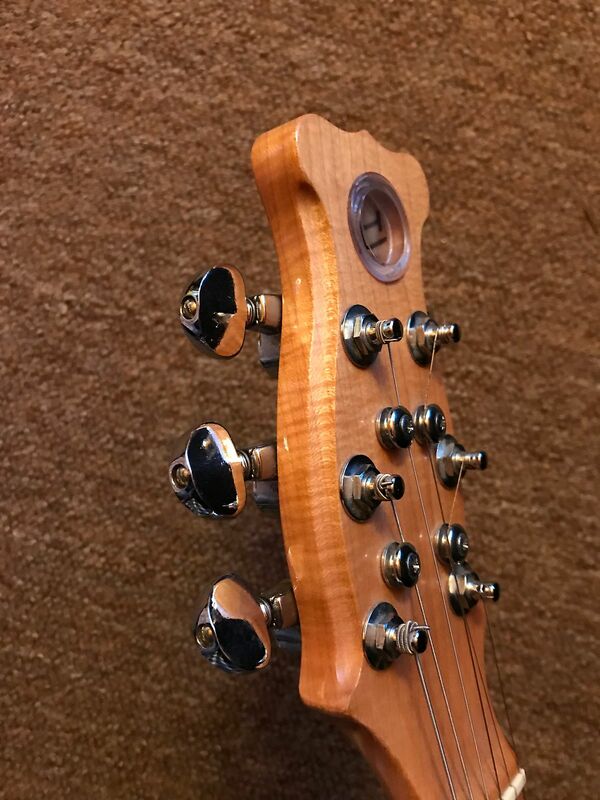 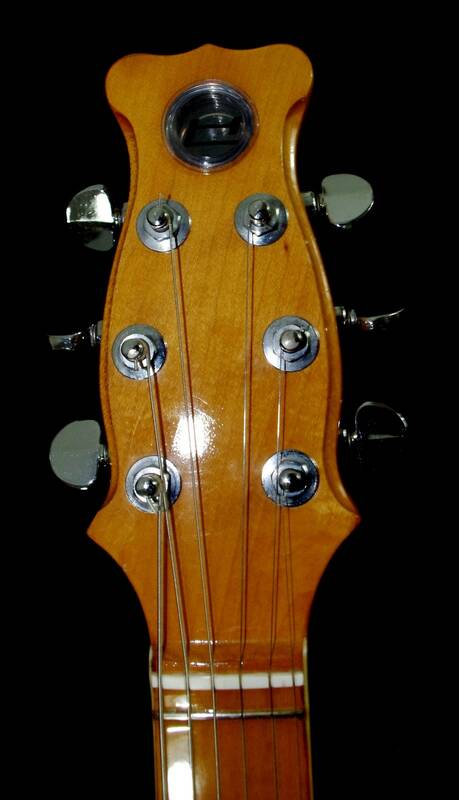 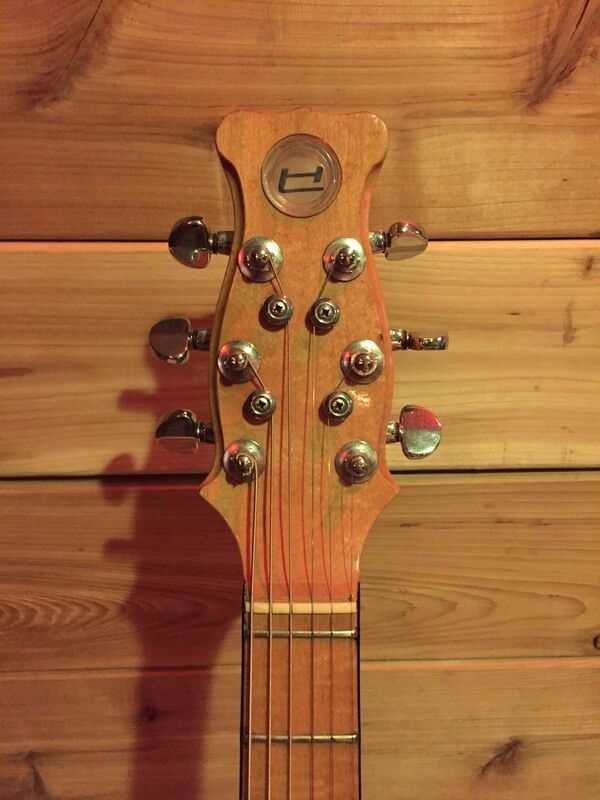 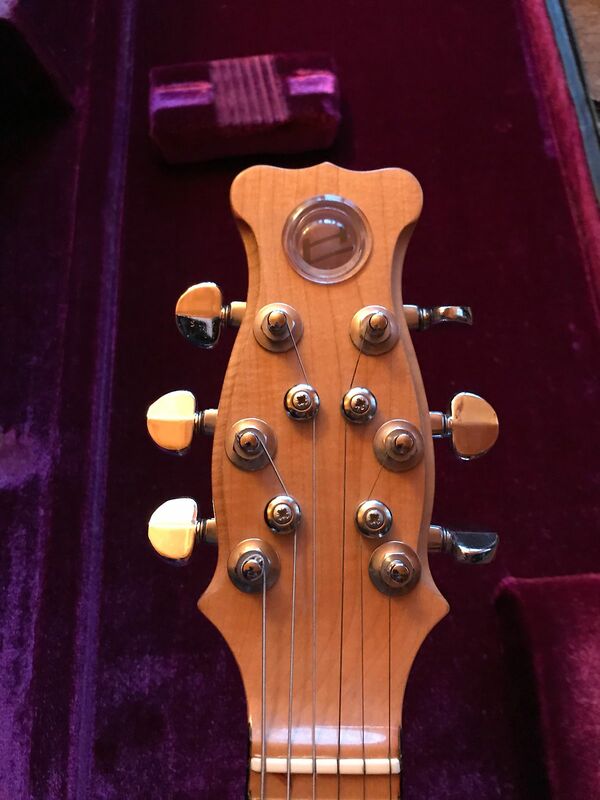 The designs incorporated many characteristics of the earlier Burns models, so retaining a definite 'family likeness'; the woodwork was by Jack Golder, with truss-rod design by Norman Holder. 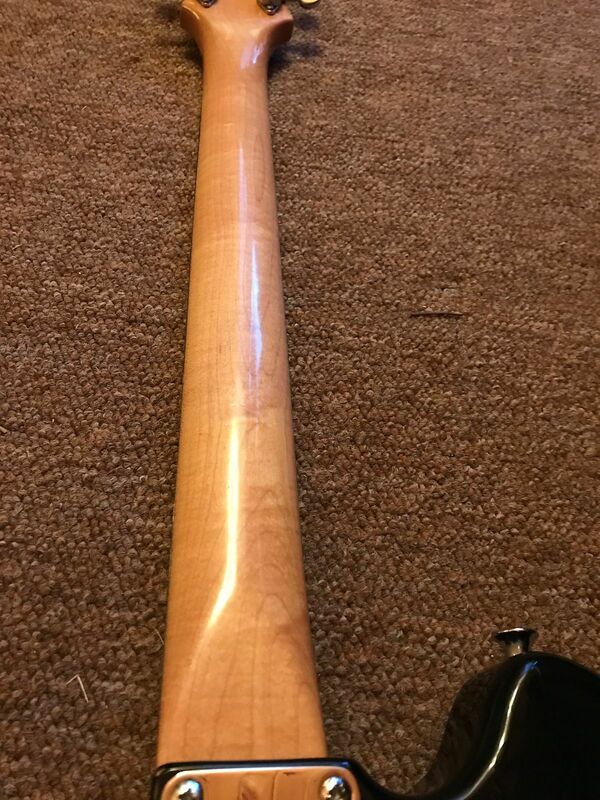 Re-An supplied the fittings while the finish was by Derek Adams, these all being links with the previous Burns and Baldwin instruments. 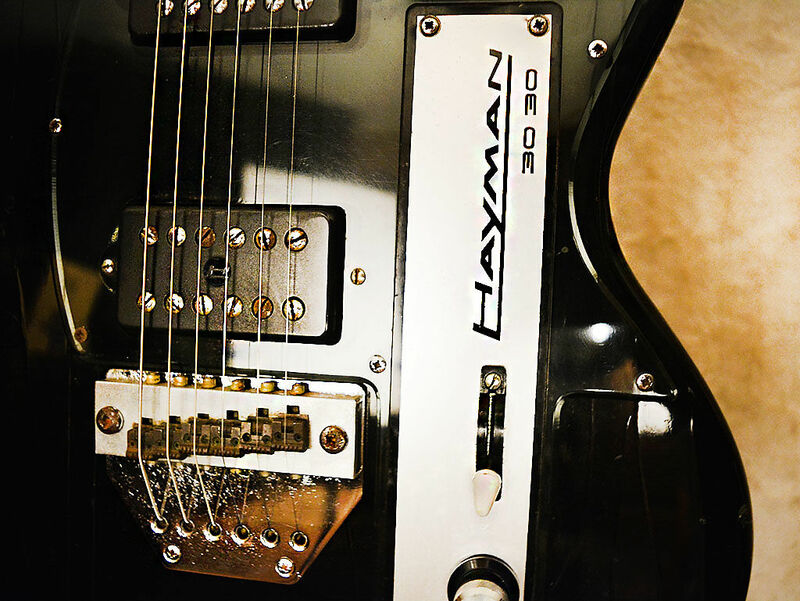 The Hayman range can certainly be classed as 'Burns by another name'. 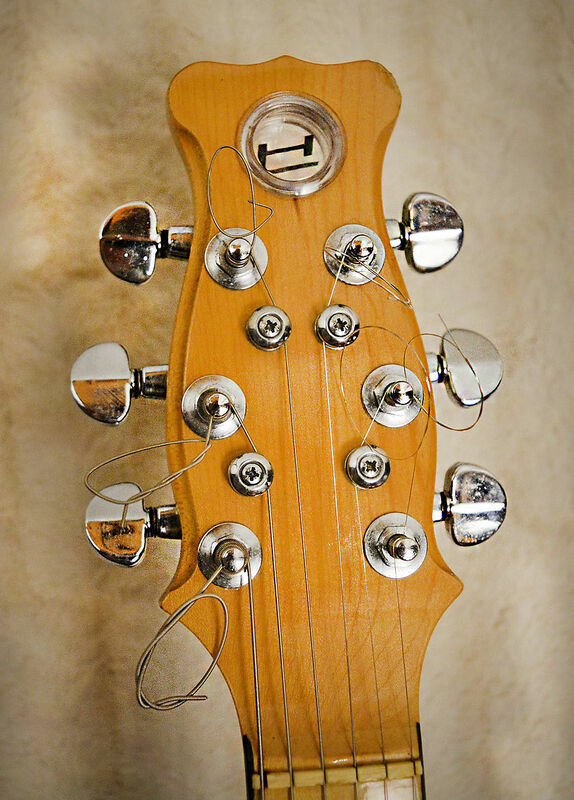 All models were worthy successors to previous Burns instruments, if lacking a little of their predecessor's 'flair' and 'character'. 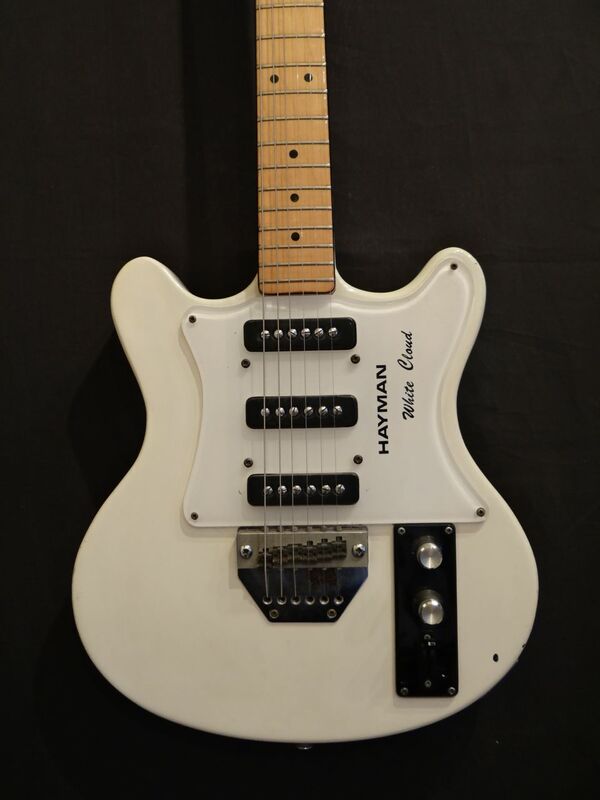 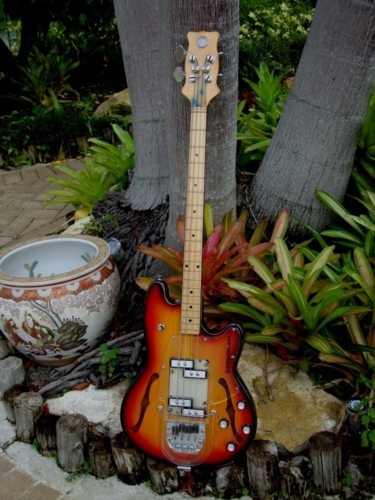 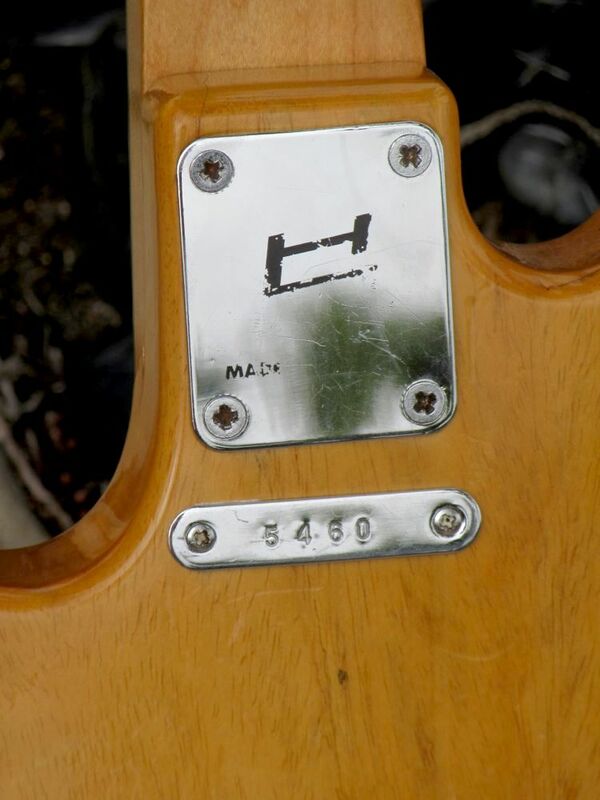 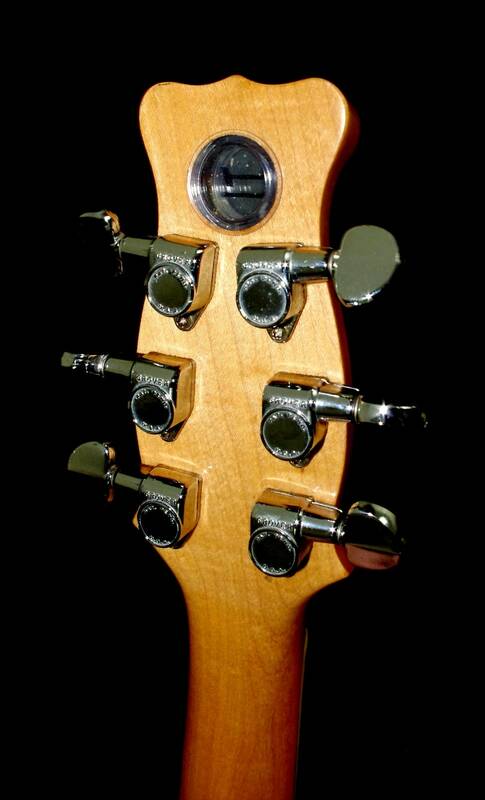 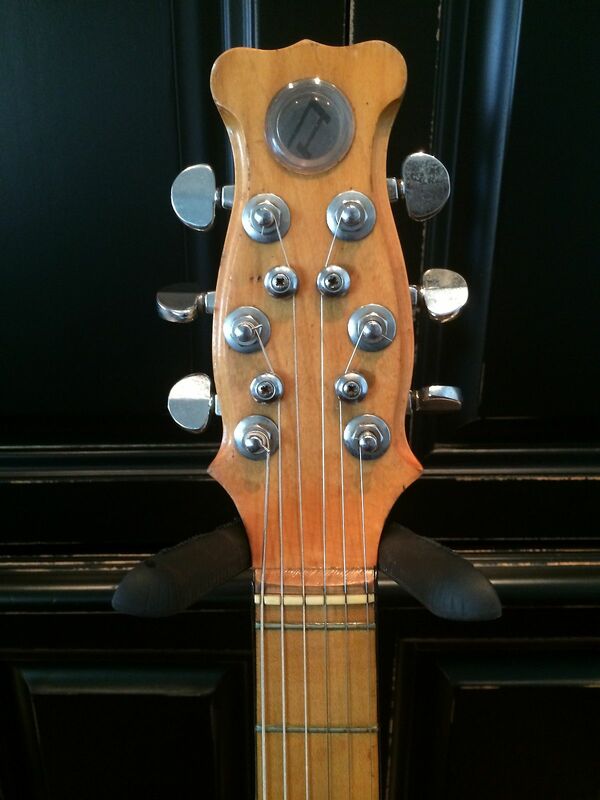 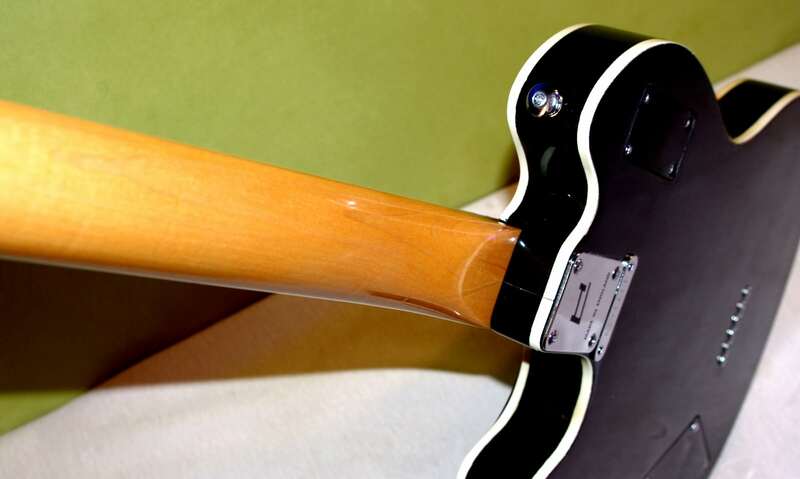 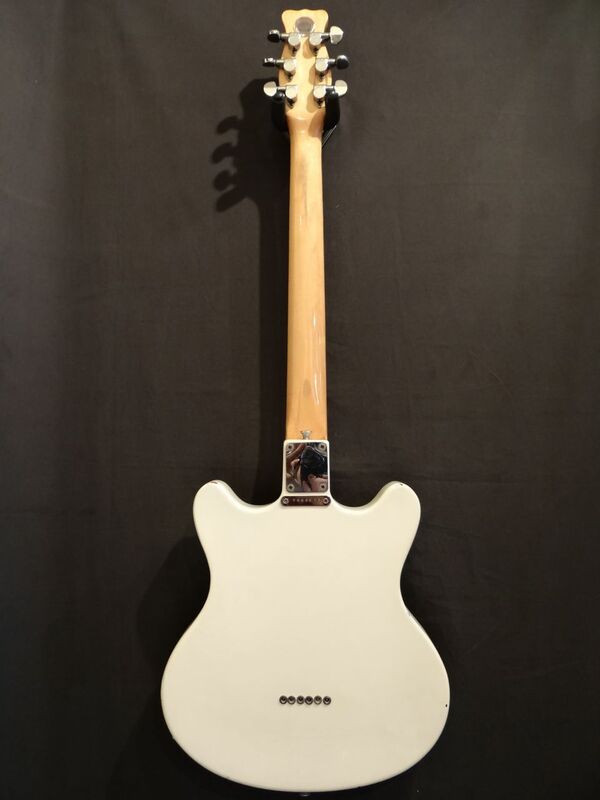 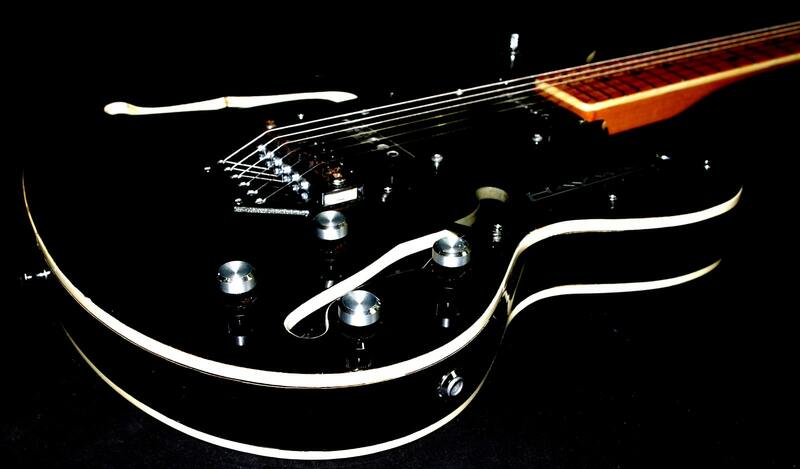 Remarks: Based on a Jim Burns design, this model had a semi-acoustic mahogany body, finished in a matched rosewood or sycamore veneer, with bound edges and 'f' holes. 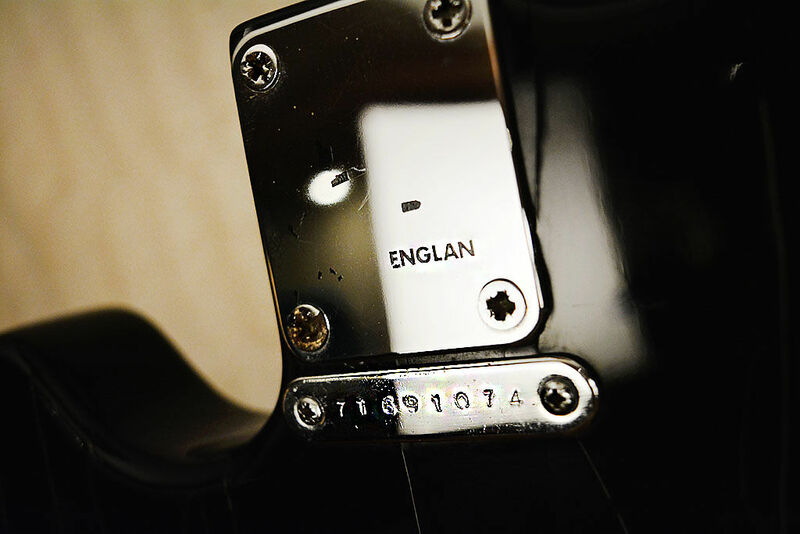 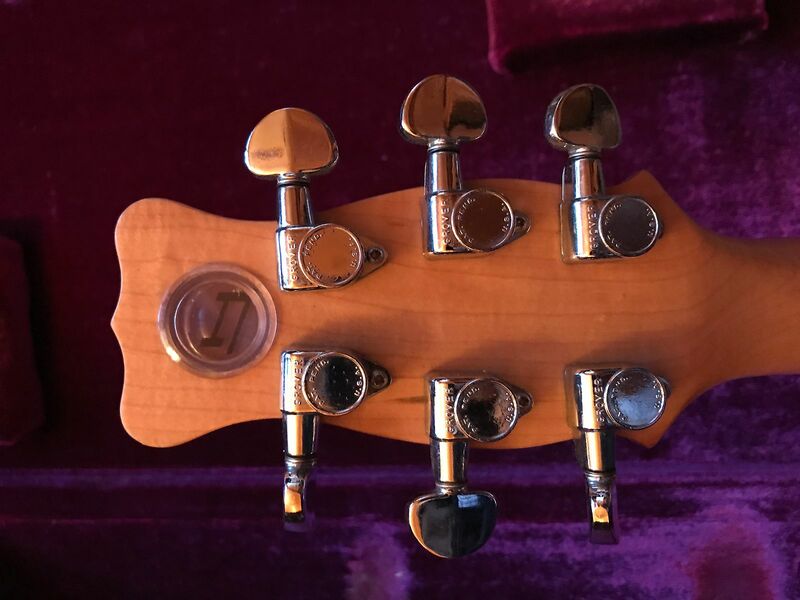 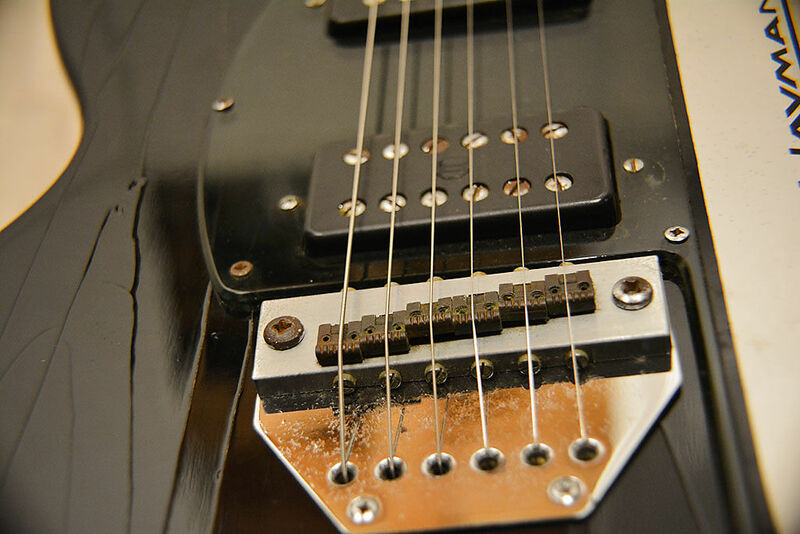 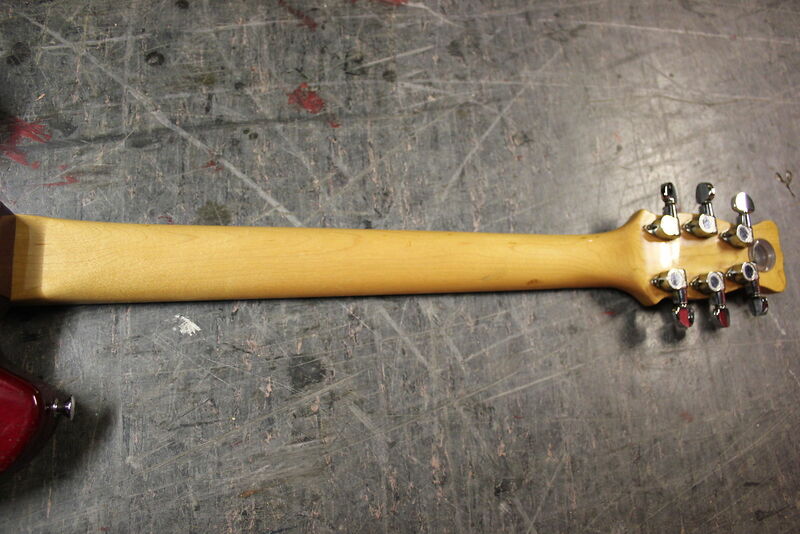 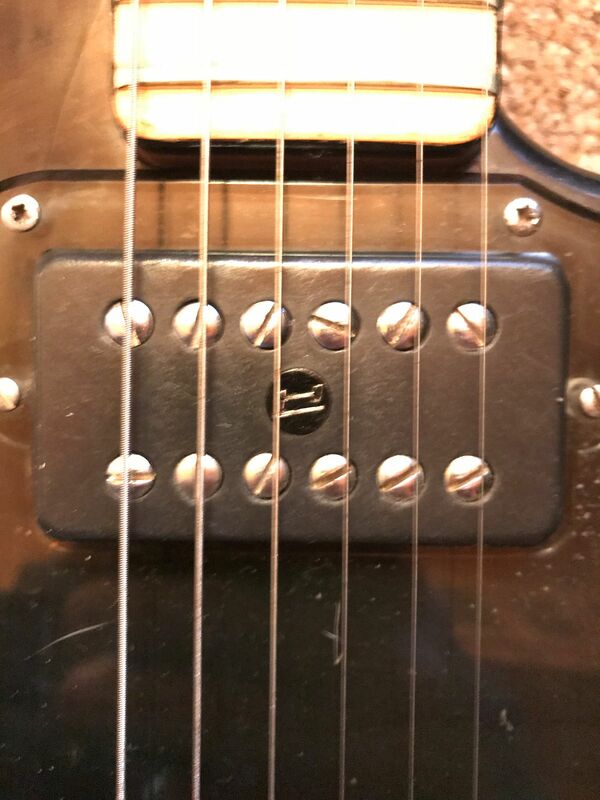 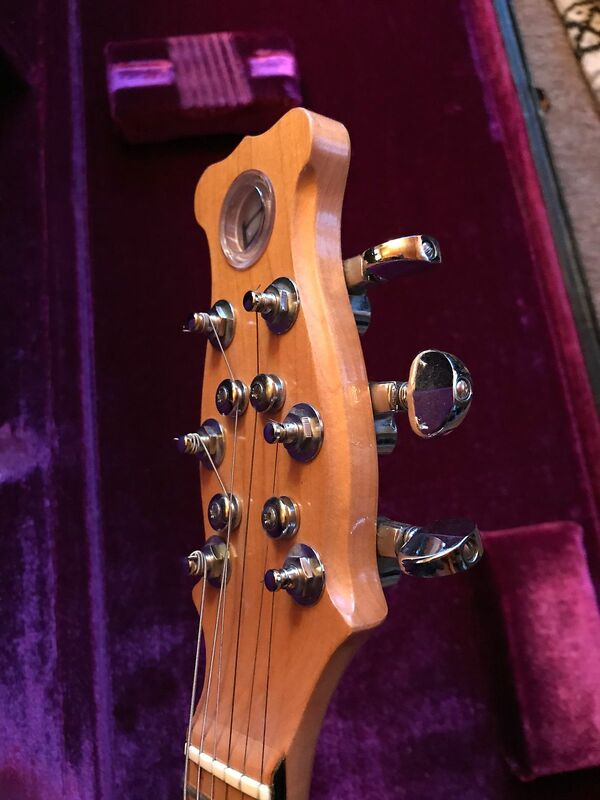 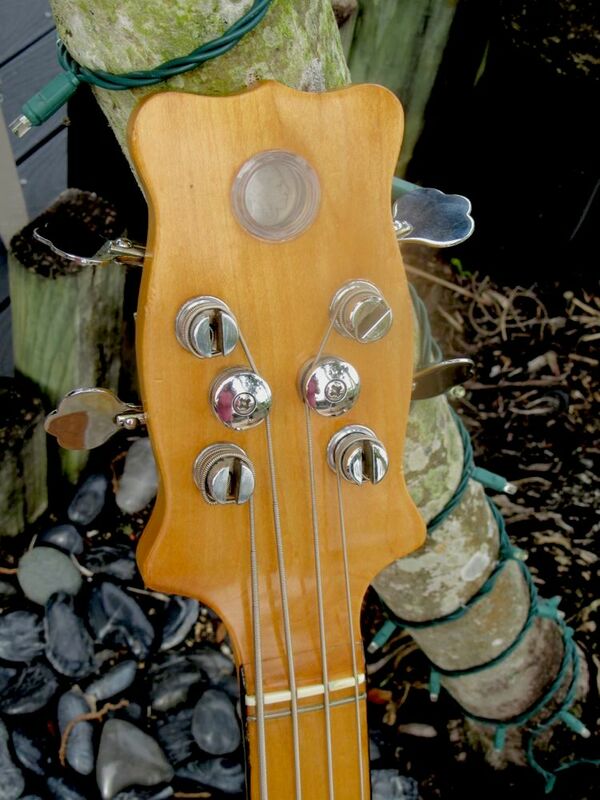 The head-face was ebonised to match the fingerboard. 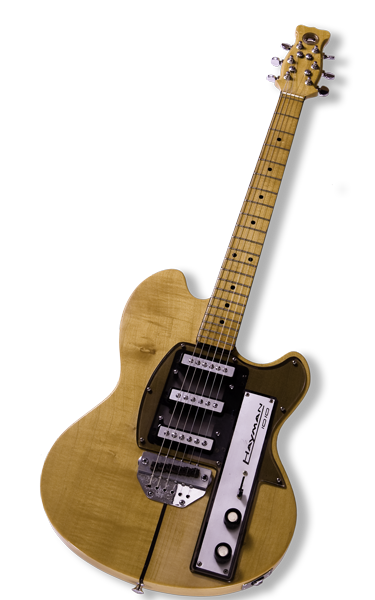 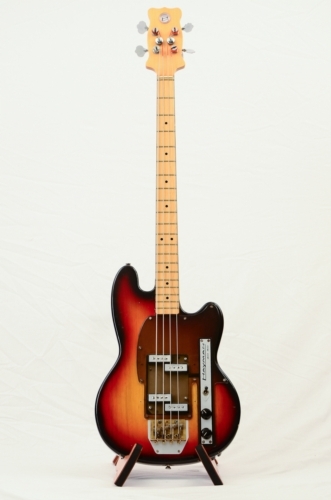 This is a very distinctive instrument, the attractive appearance befitting its position as the 'top-of-the-line' model. 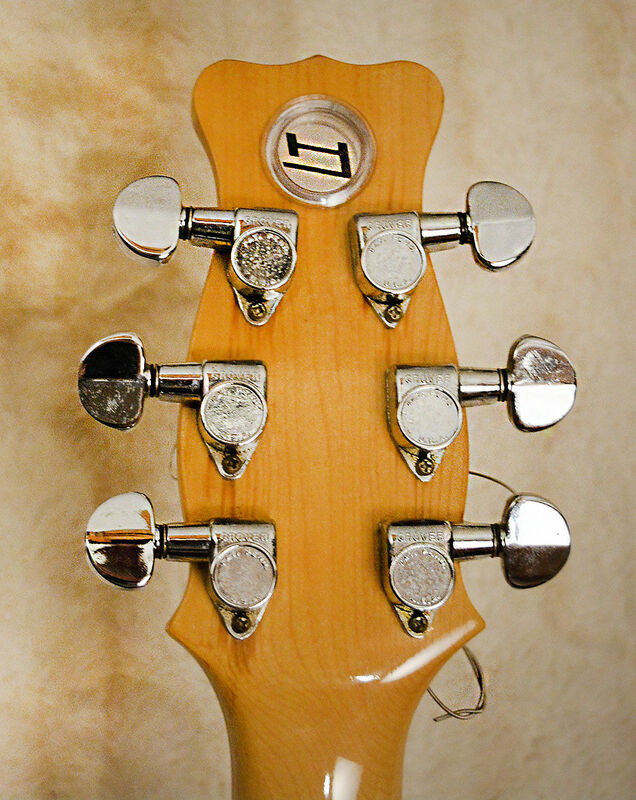 Examples are now not as common as others of the range. 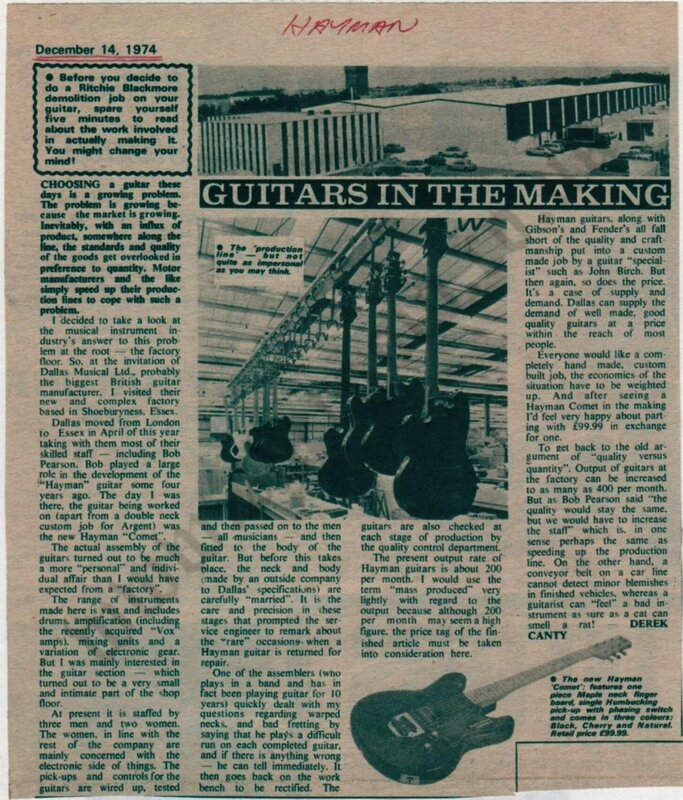 Completed 9th March 1975. 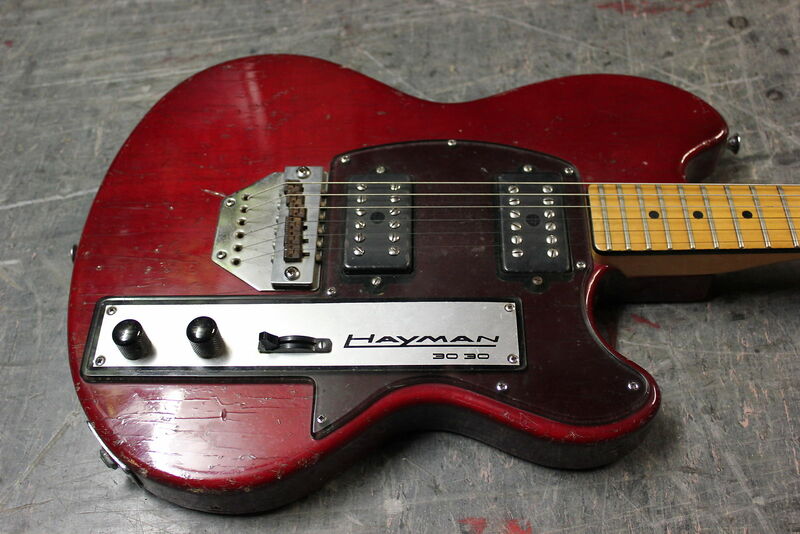 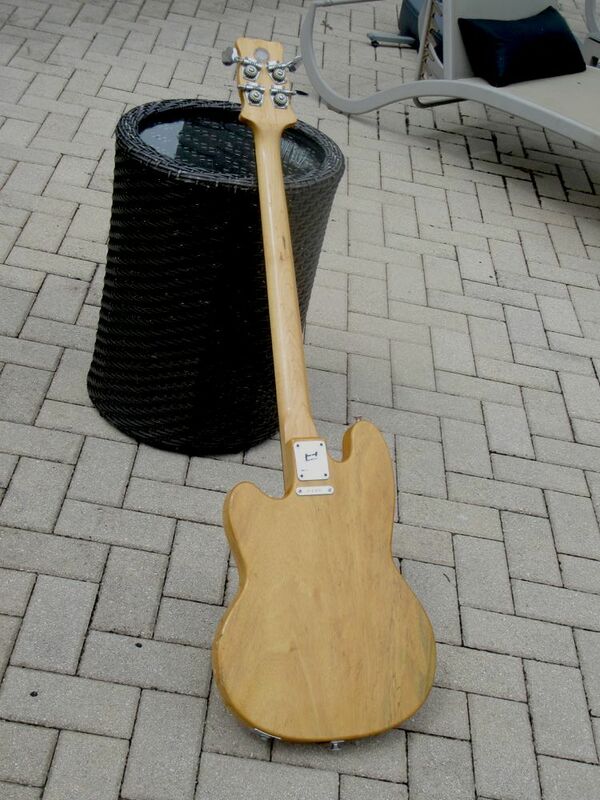 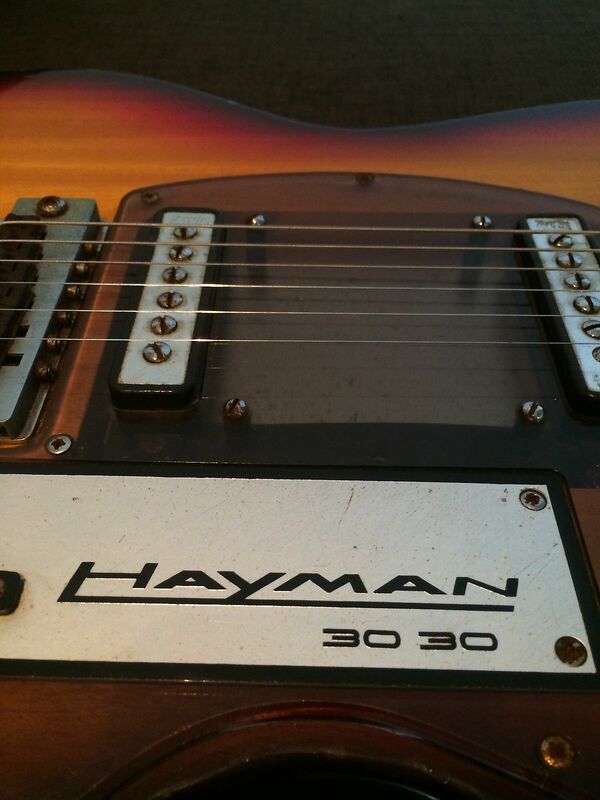 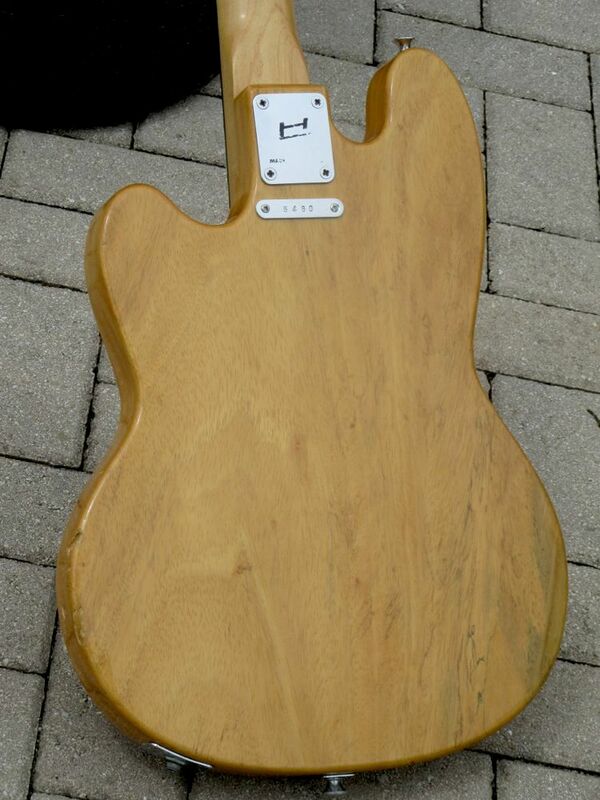 This is one of the very last Hayman guitars to be assembled. 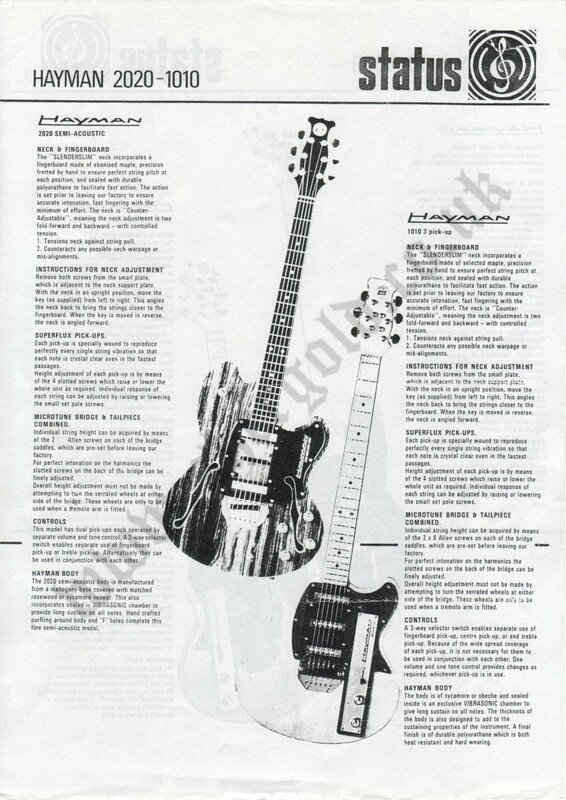 Remarks: This model was based on a design by Bob Pearson. 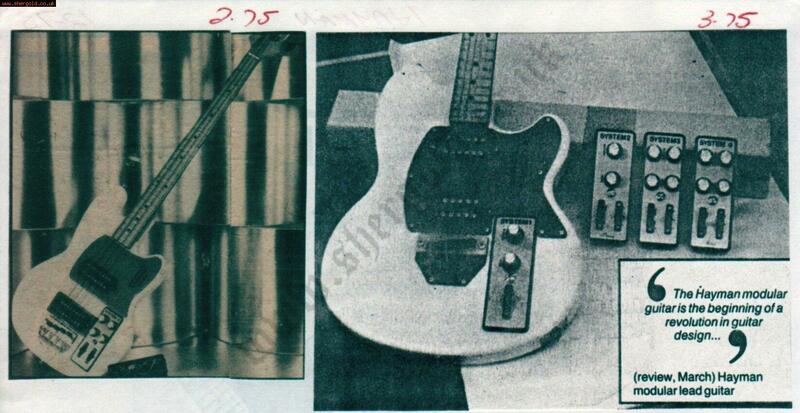 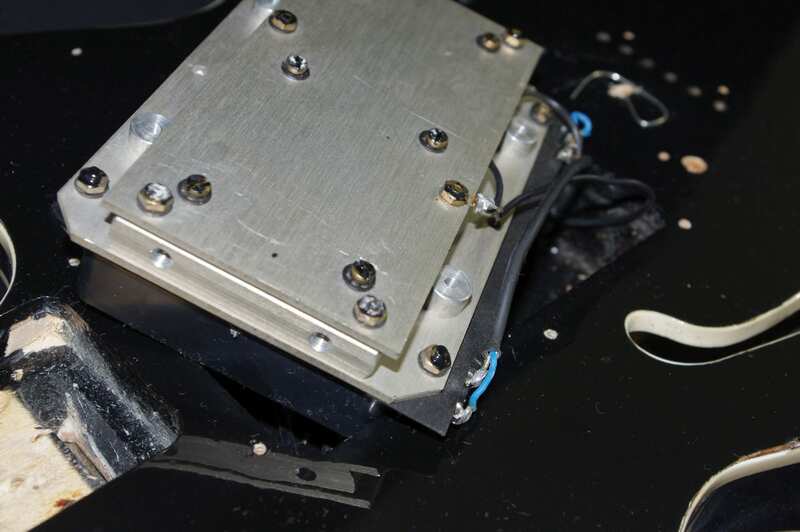 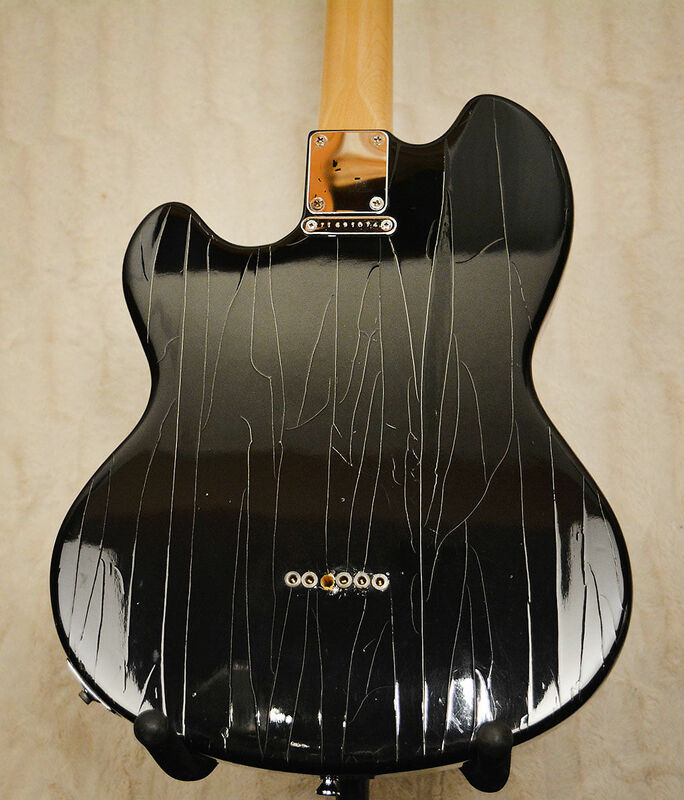 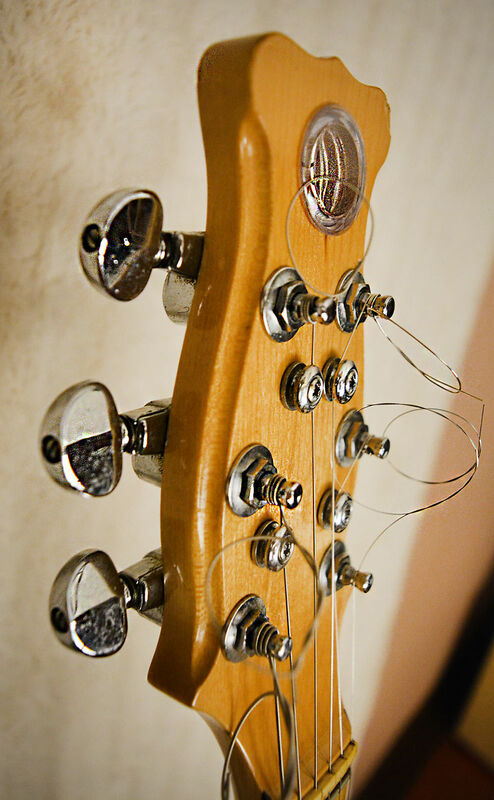 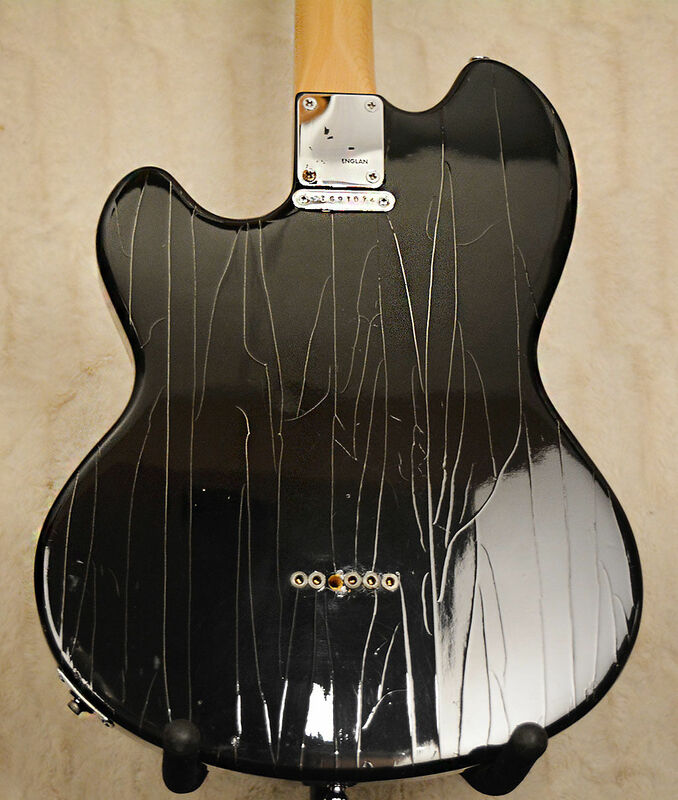 The body was of obeche, with 'bolt-on' neck, fitted with Fender-style machine heads. 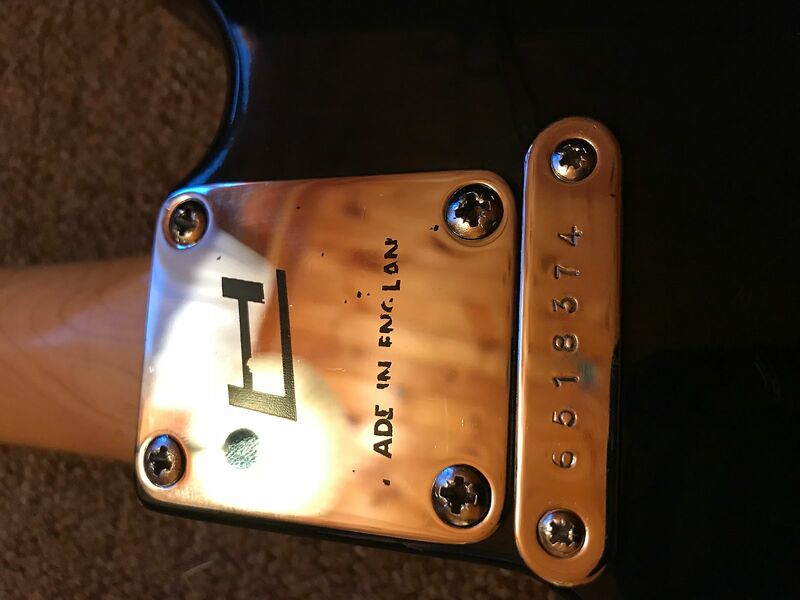 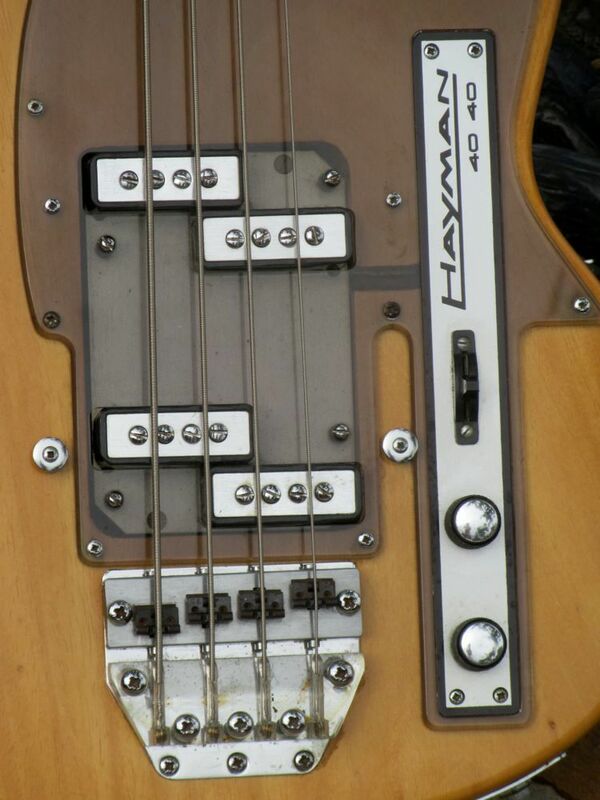 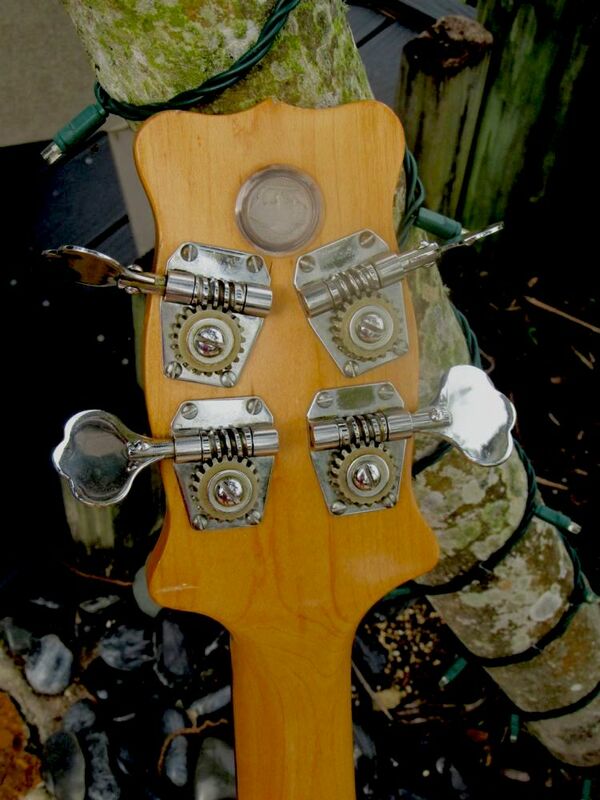 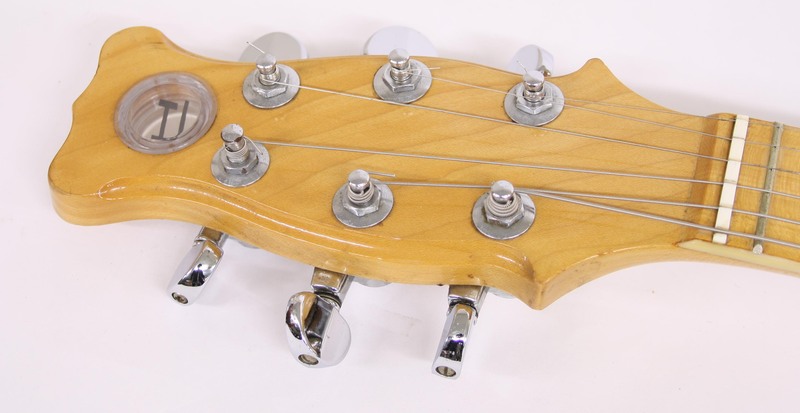 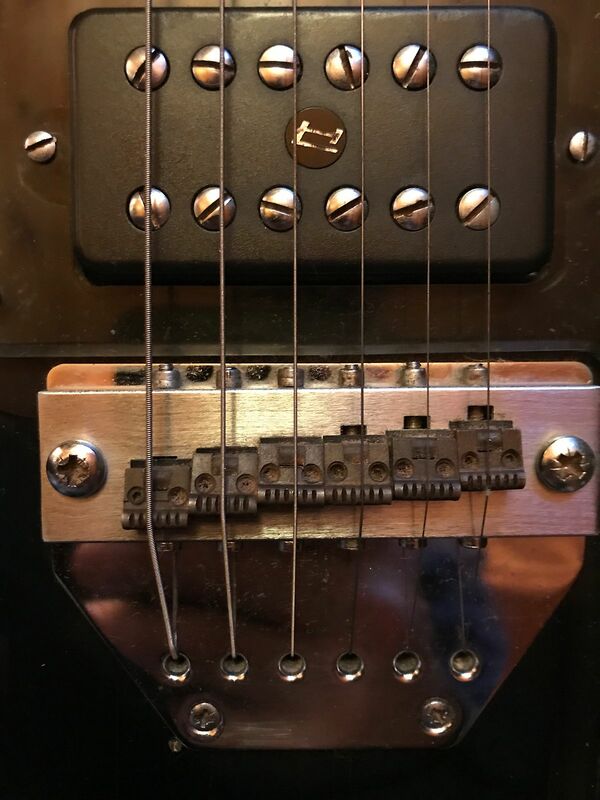 The double-pole, staggered/split pick-ups were also Fender influenced.